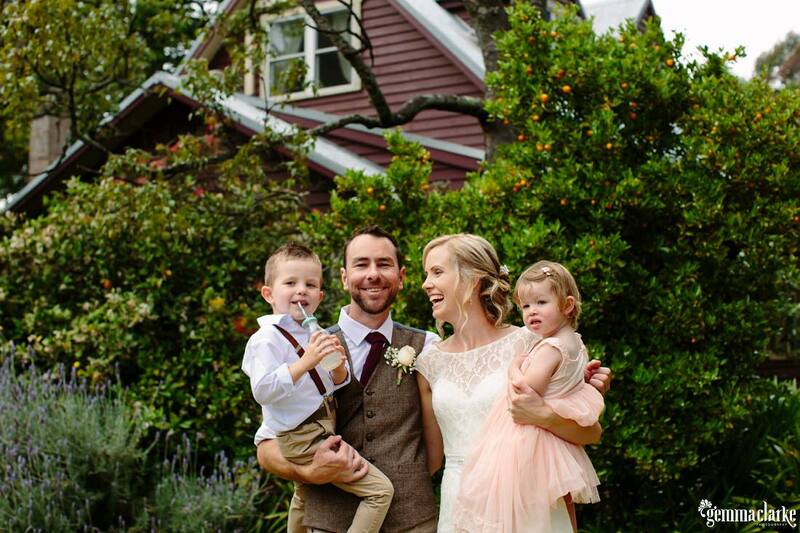 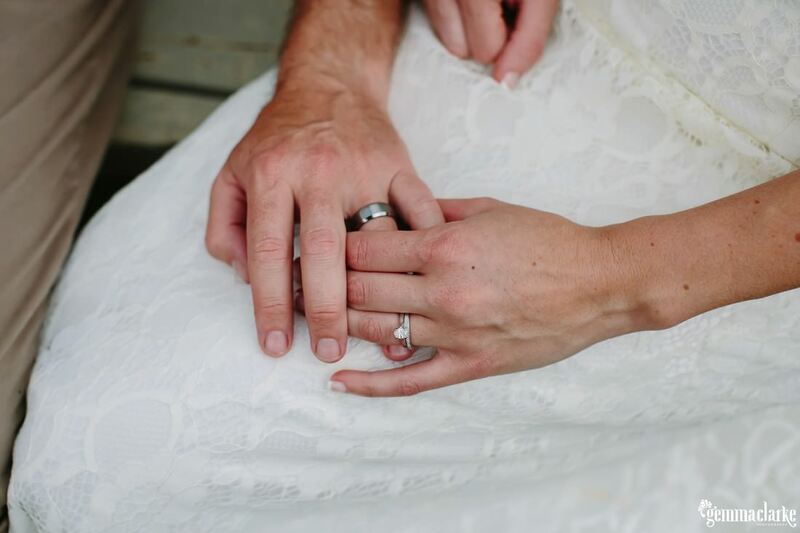 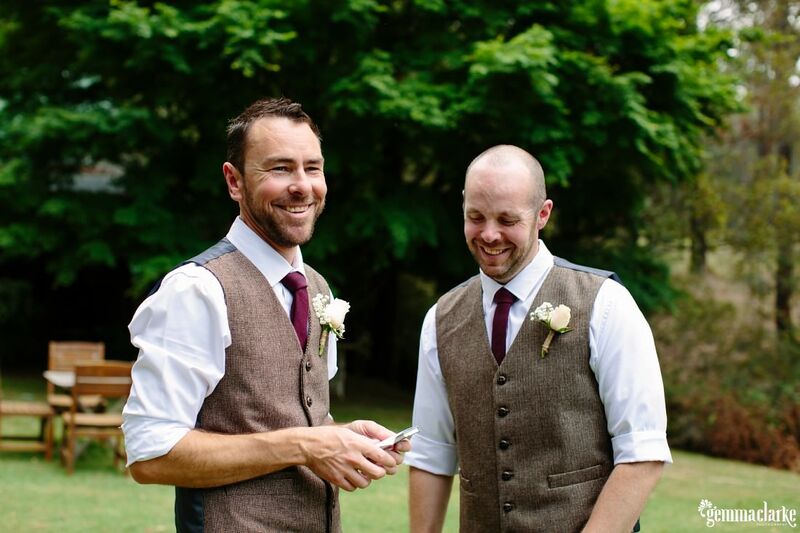 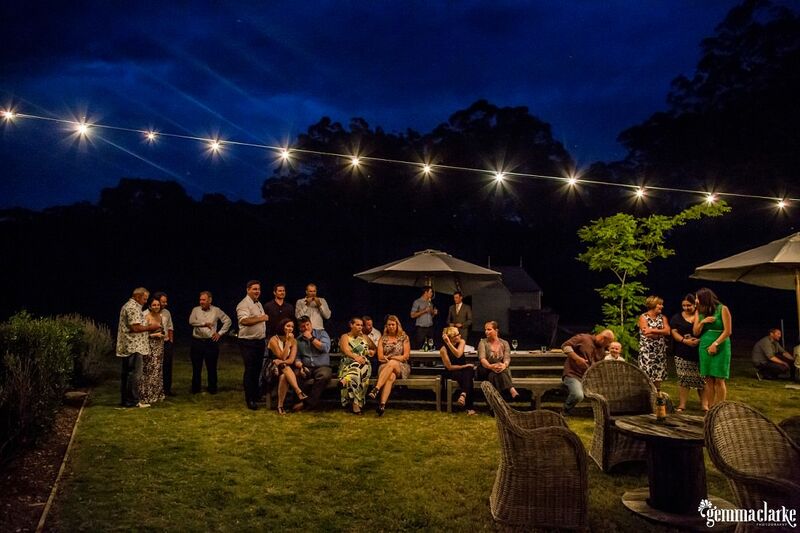 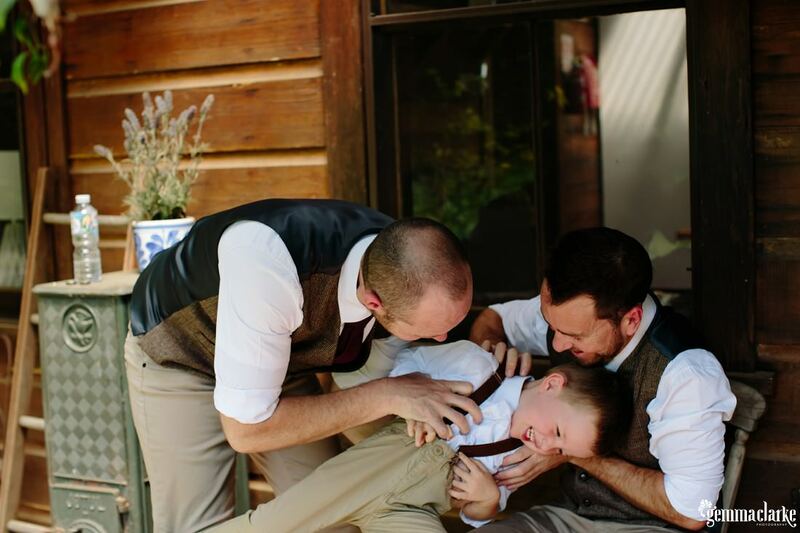 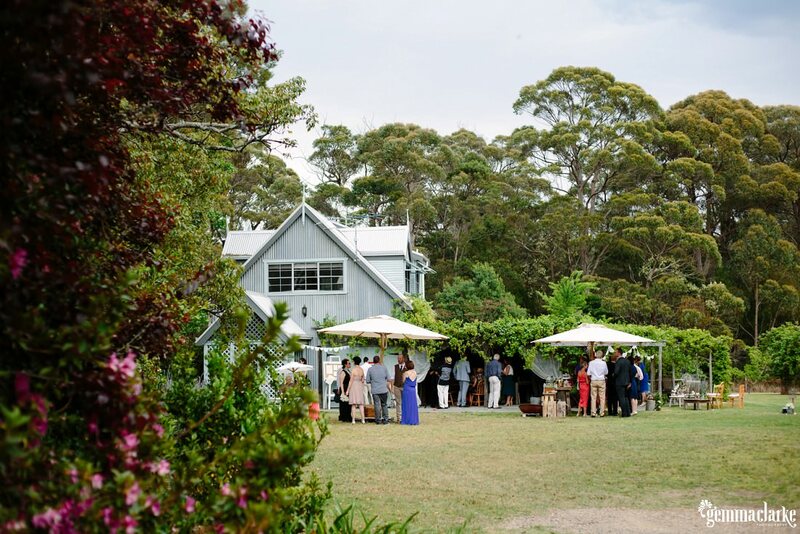 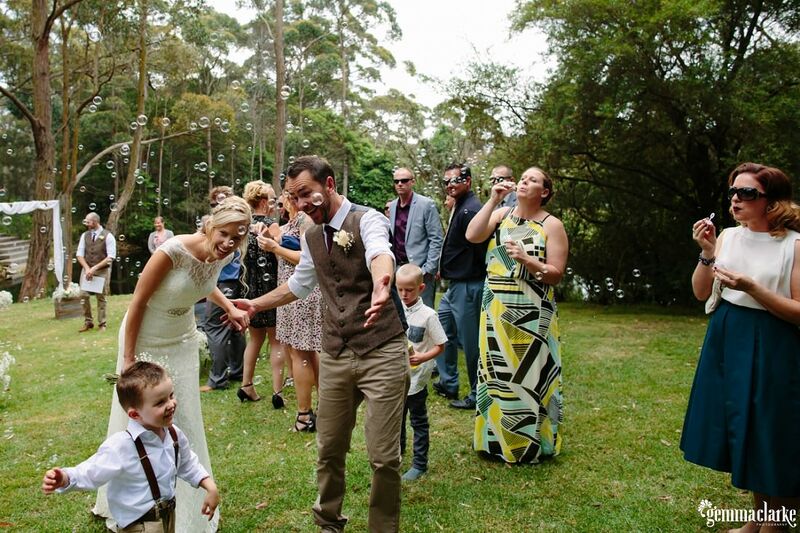 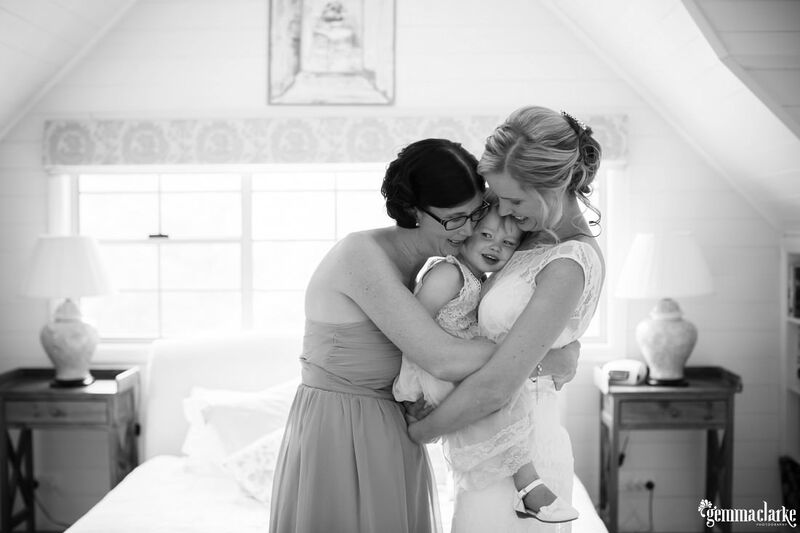 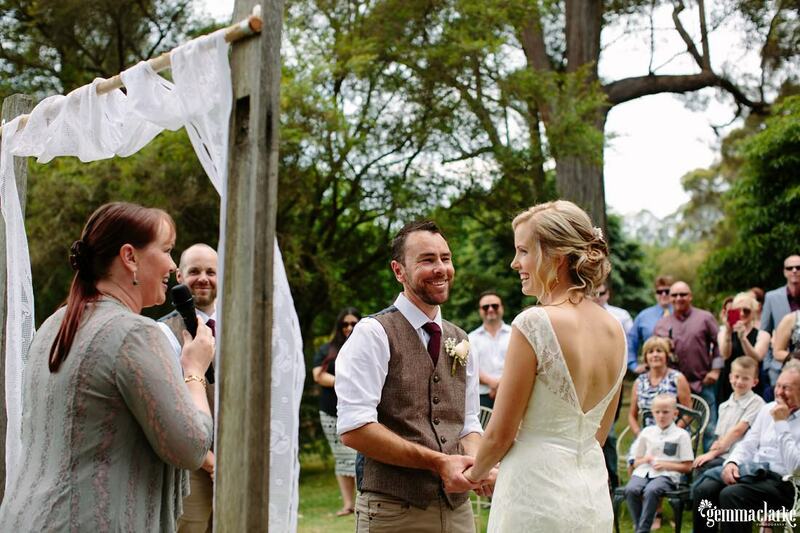 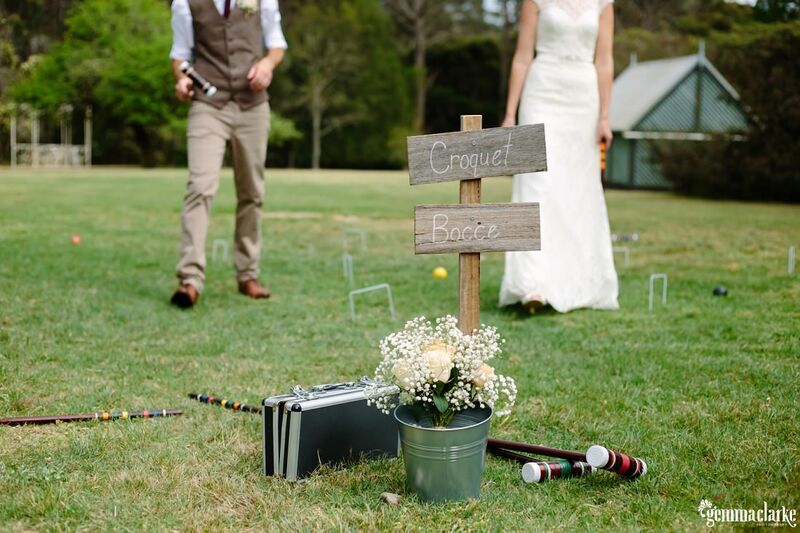 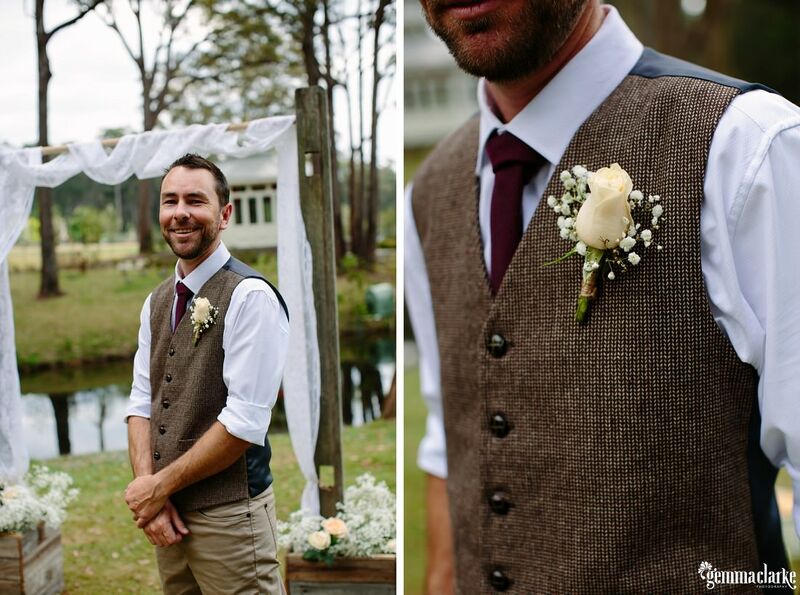 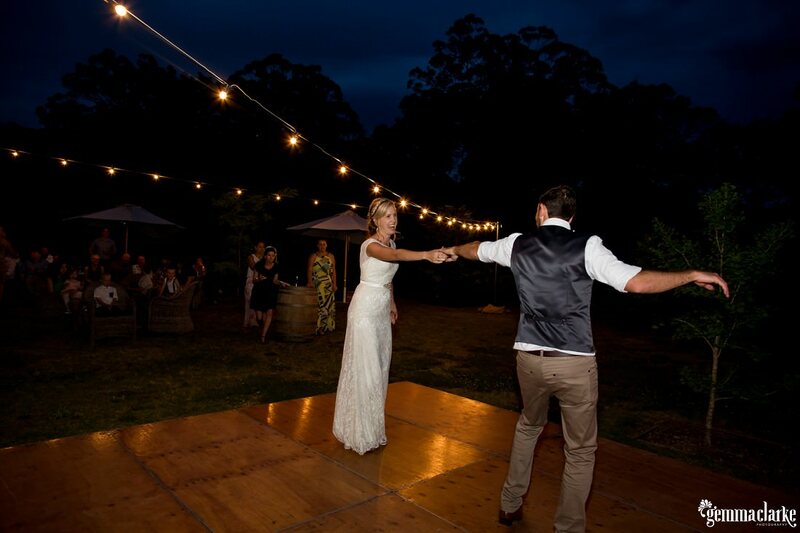 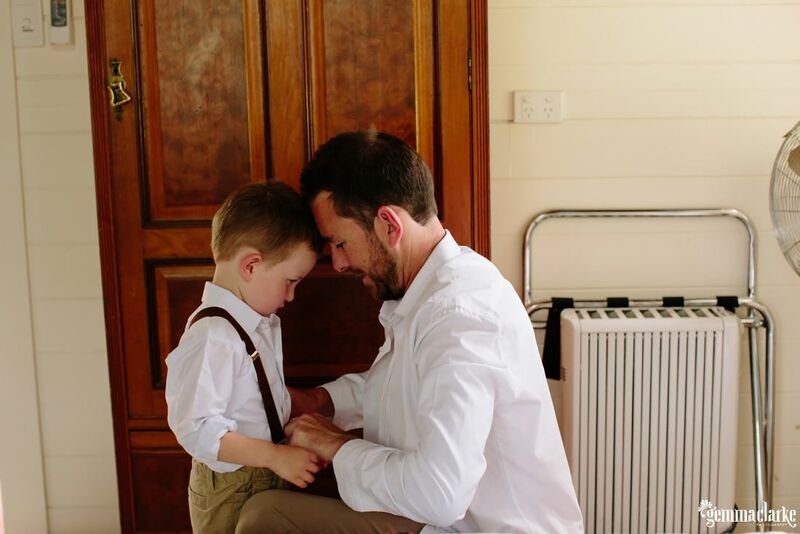 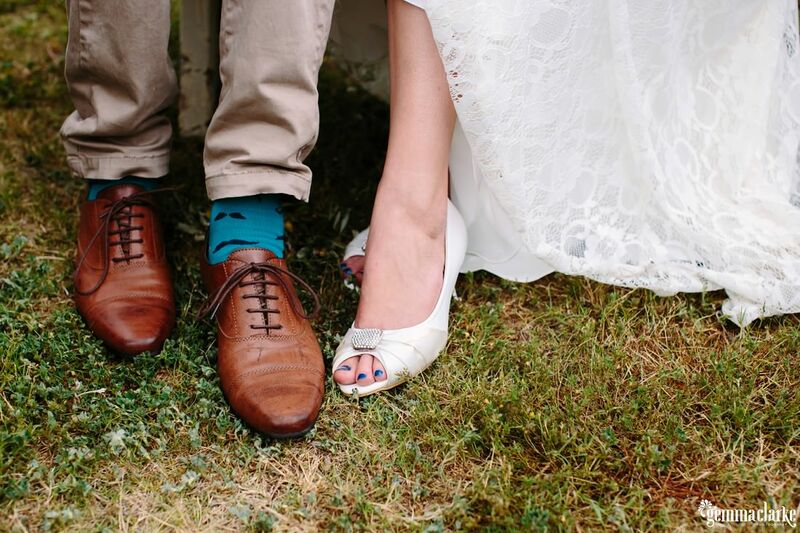 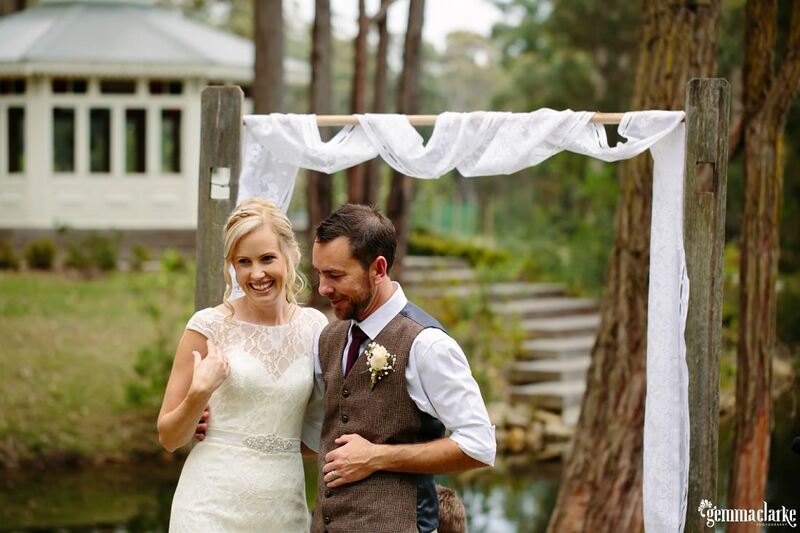 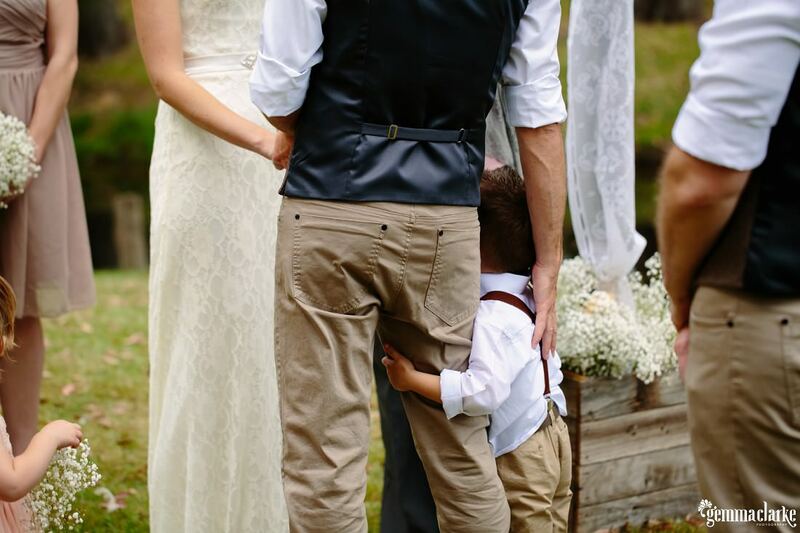 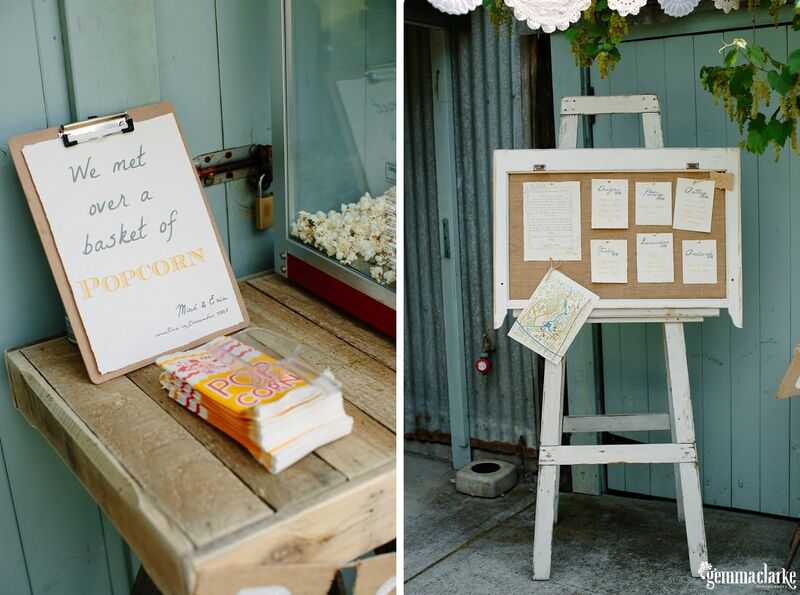 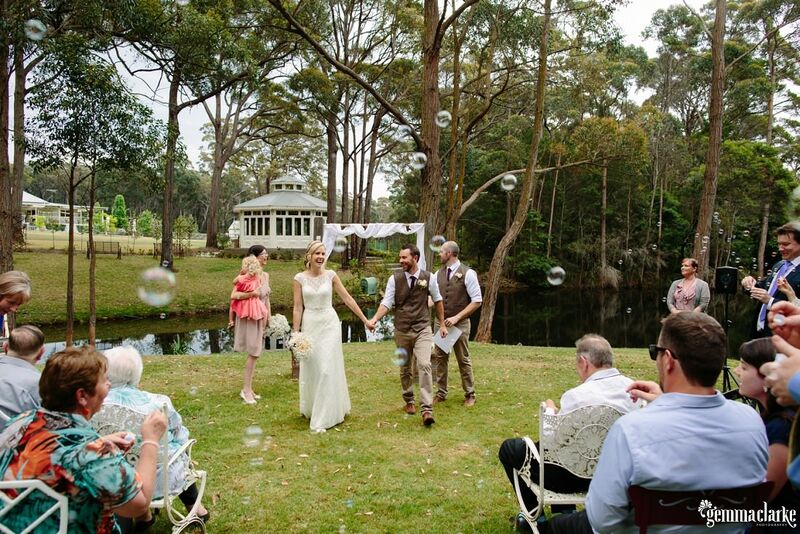 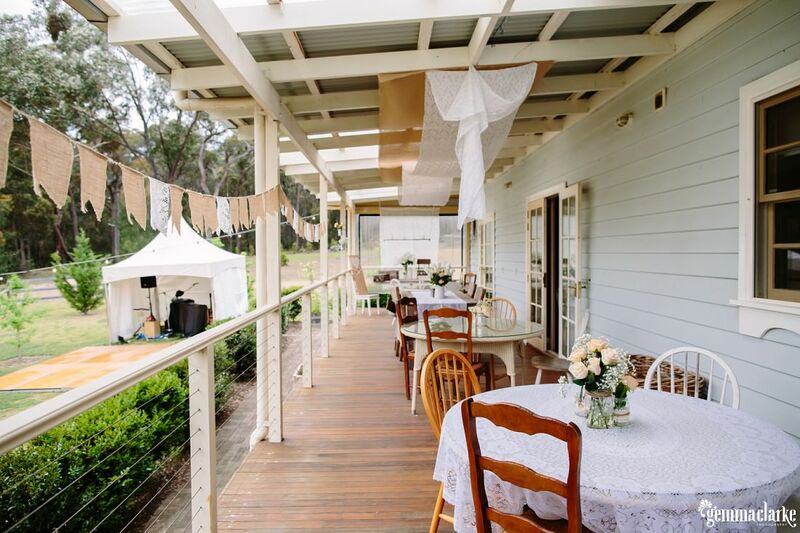 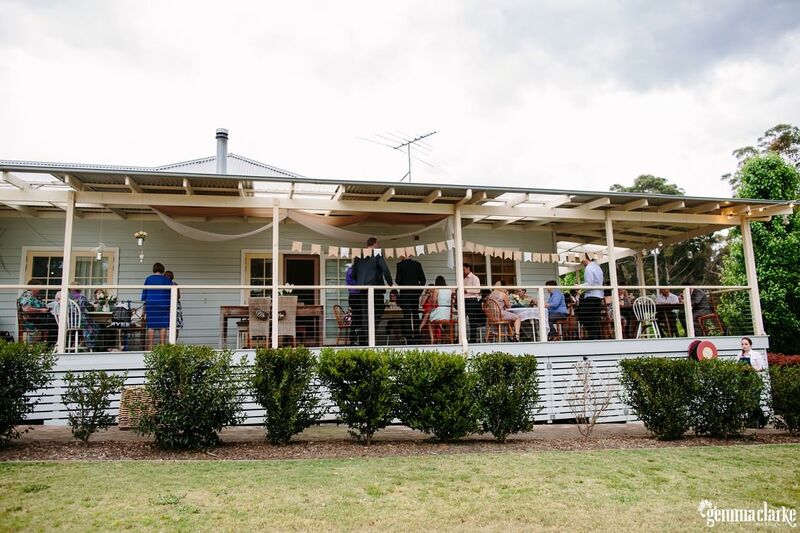 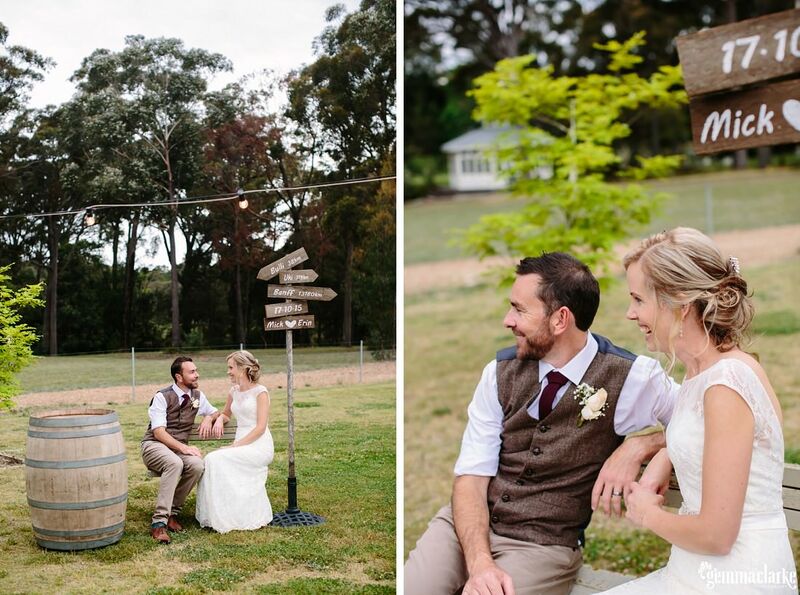 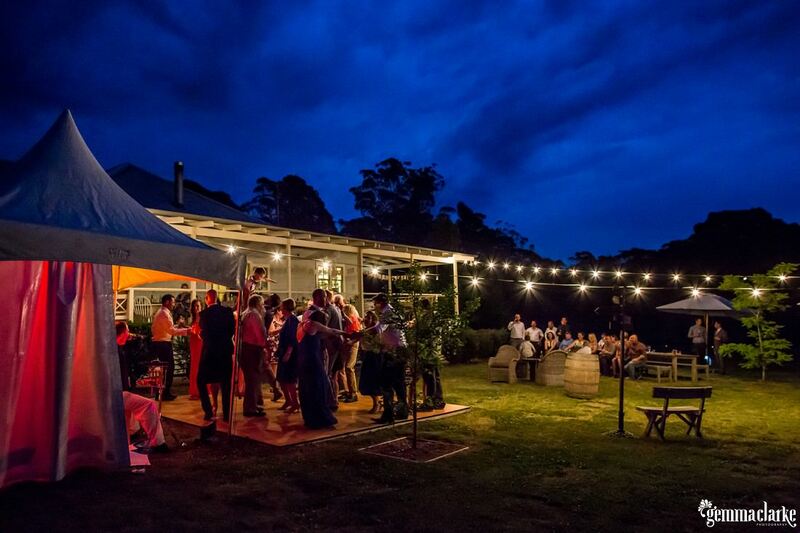 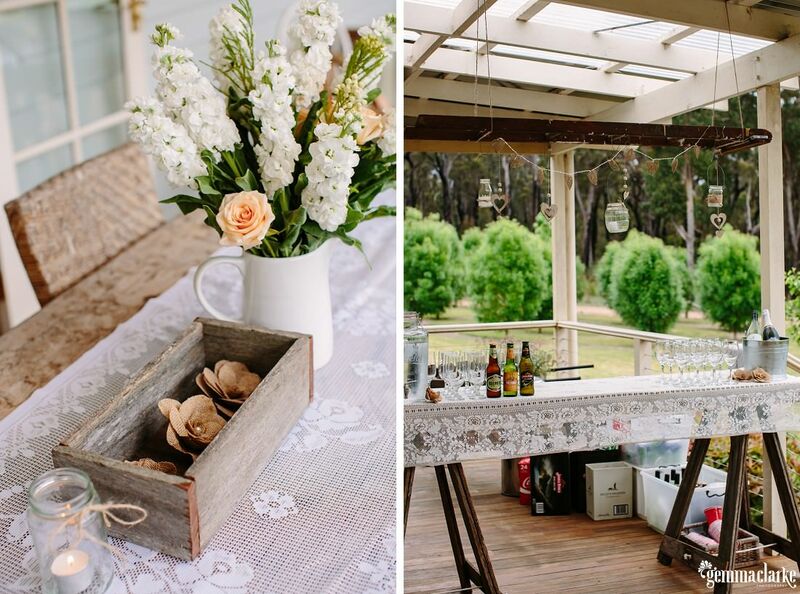 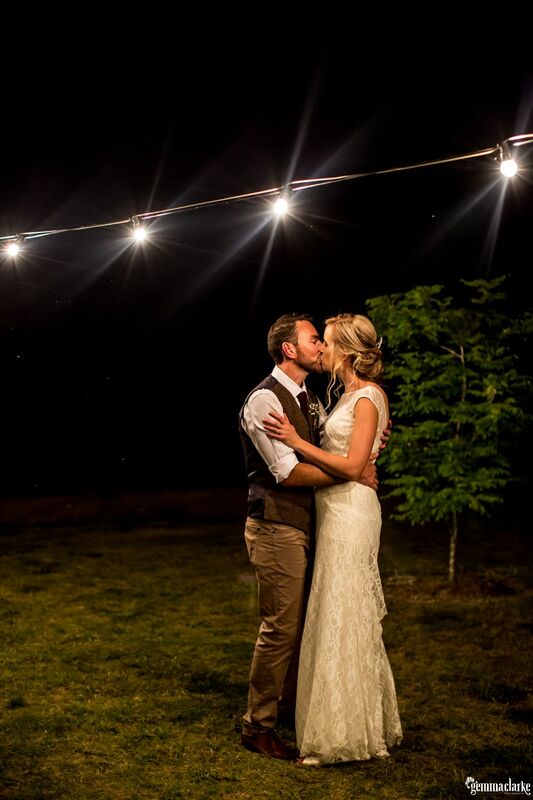 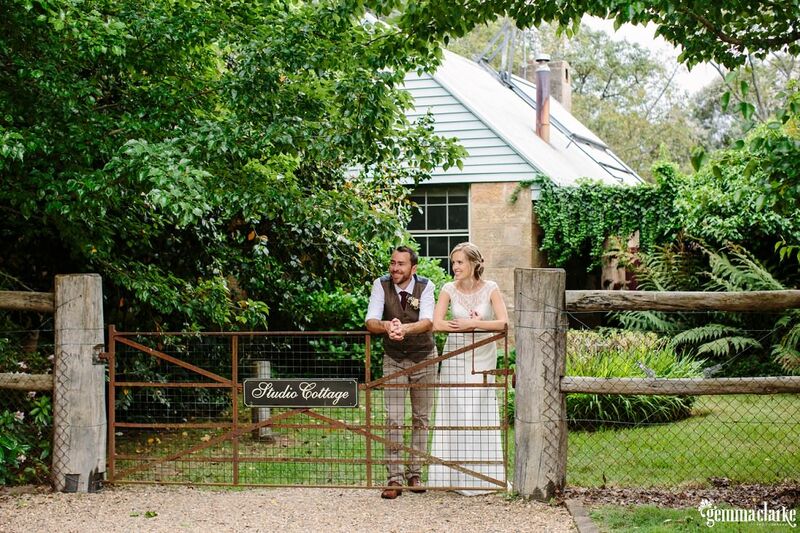 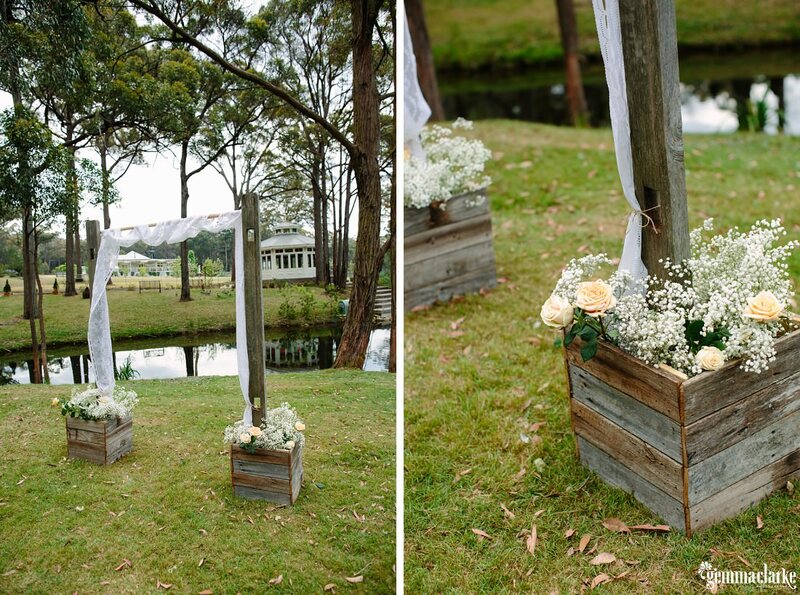 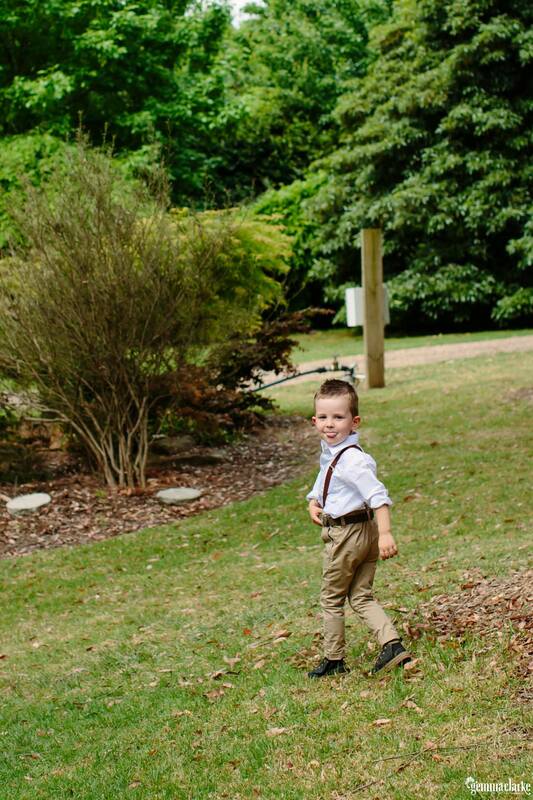  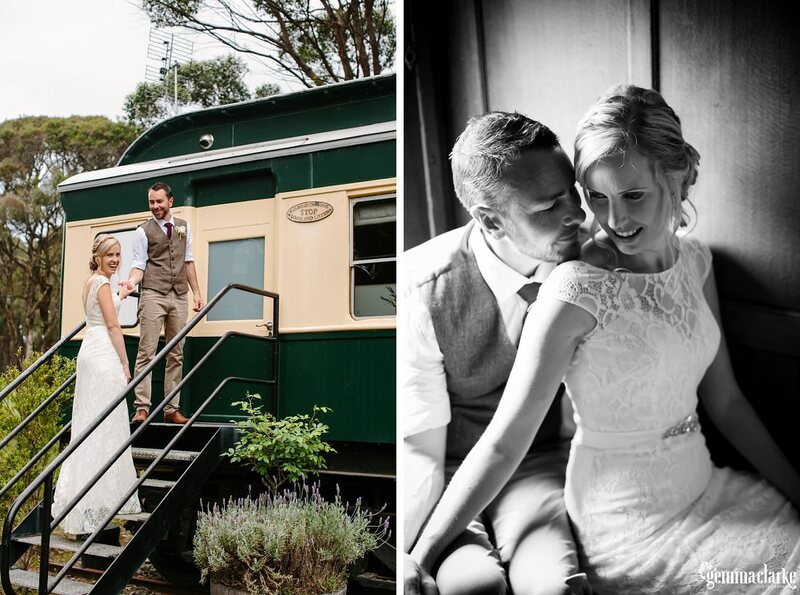 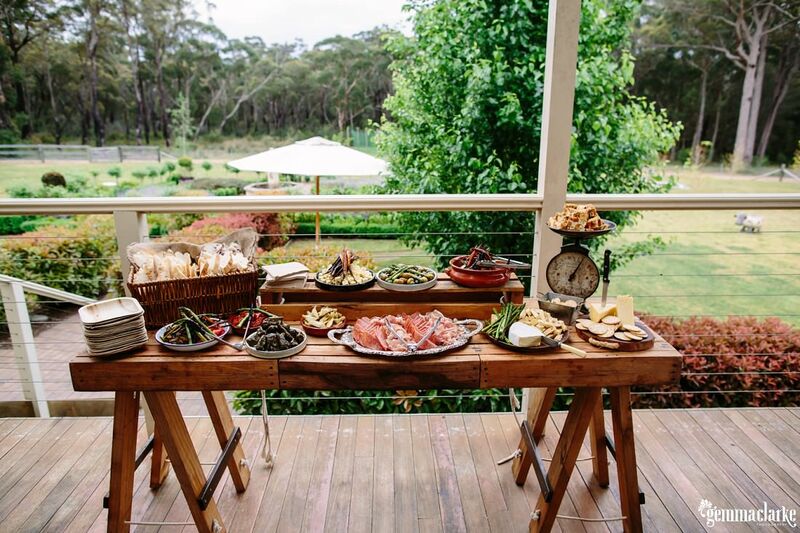 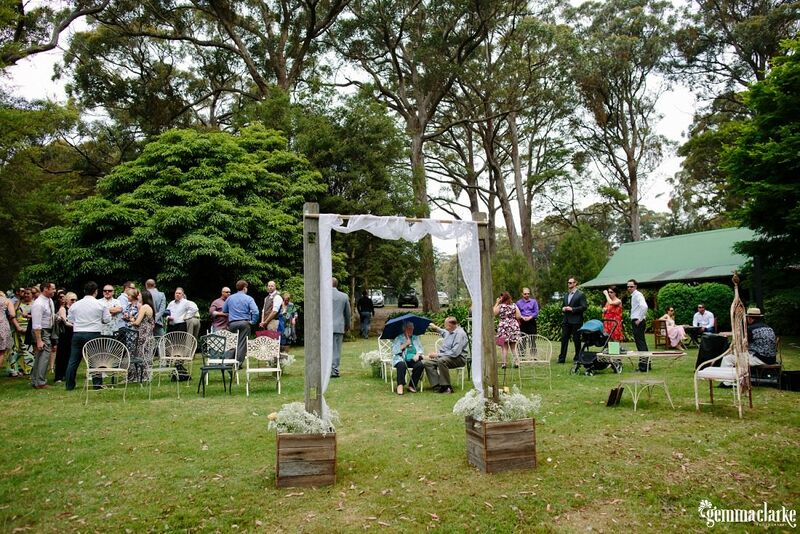 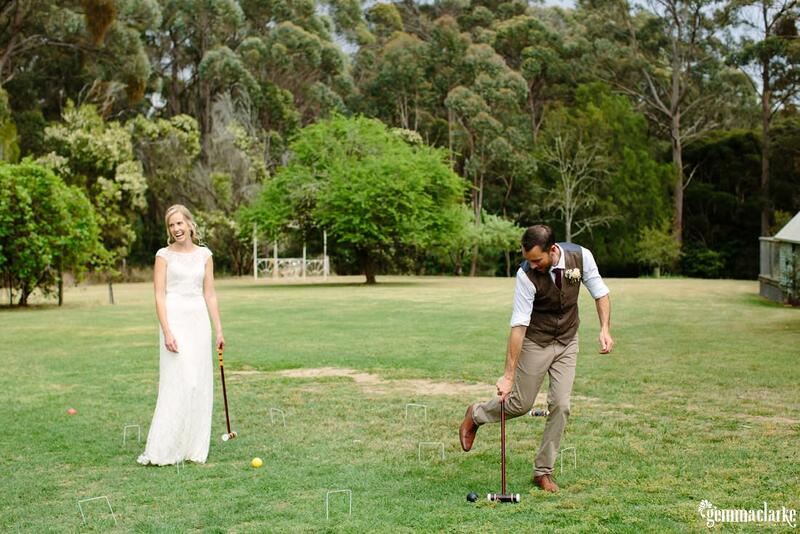 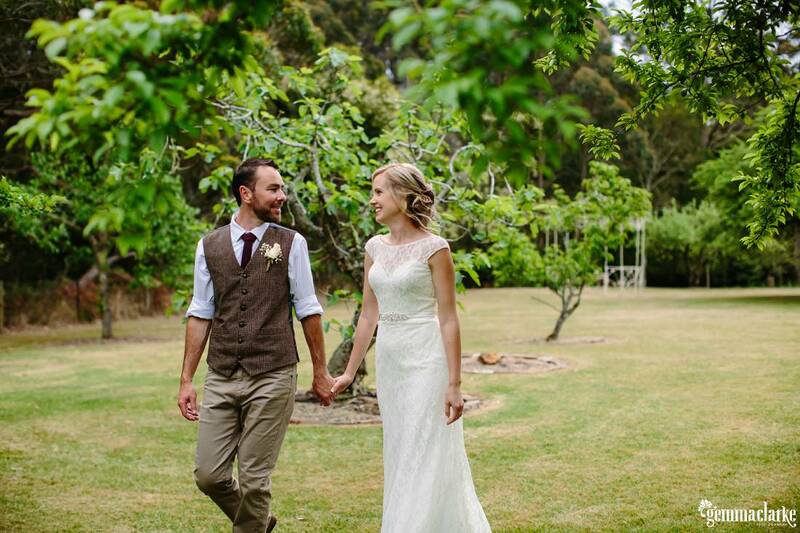 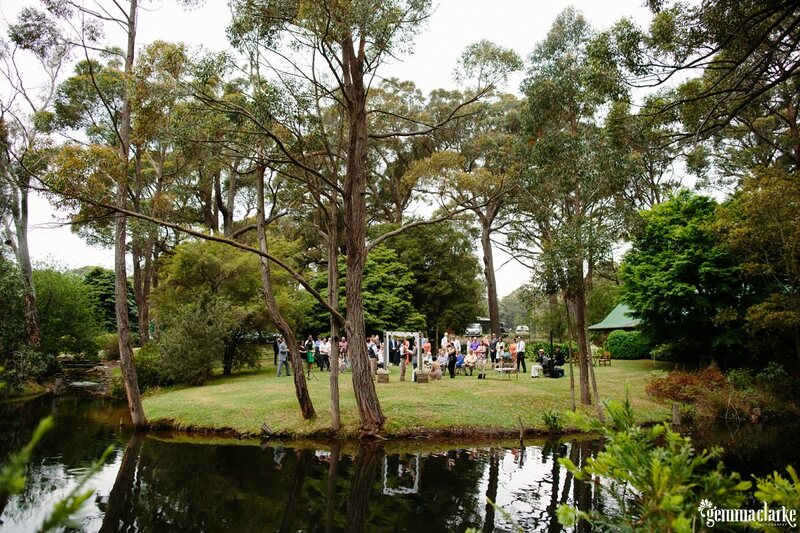 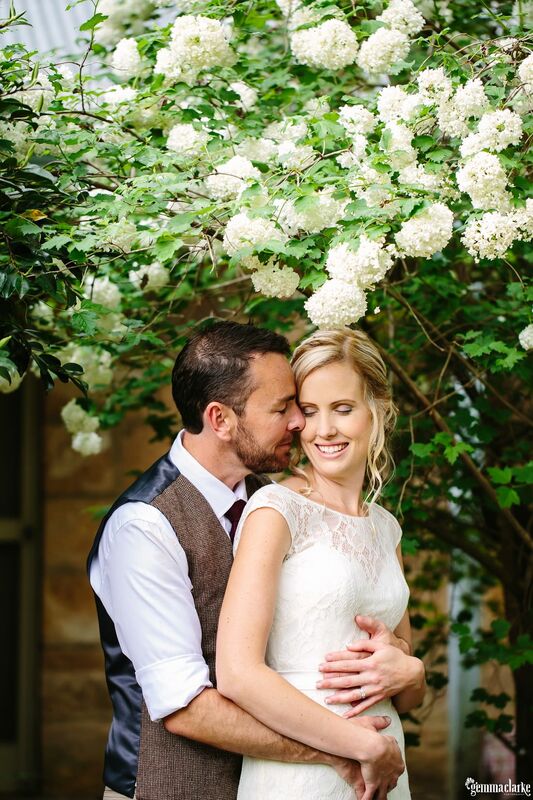 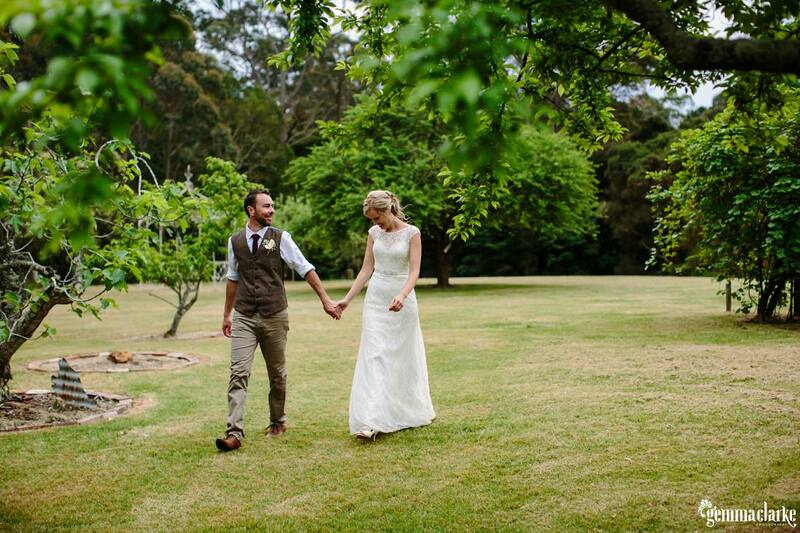 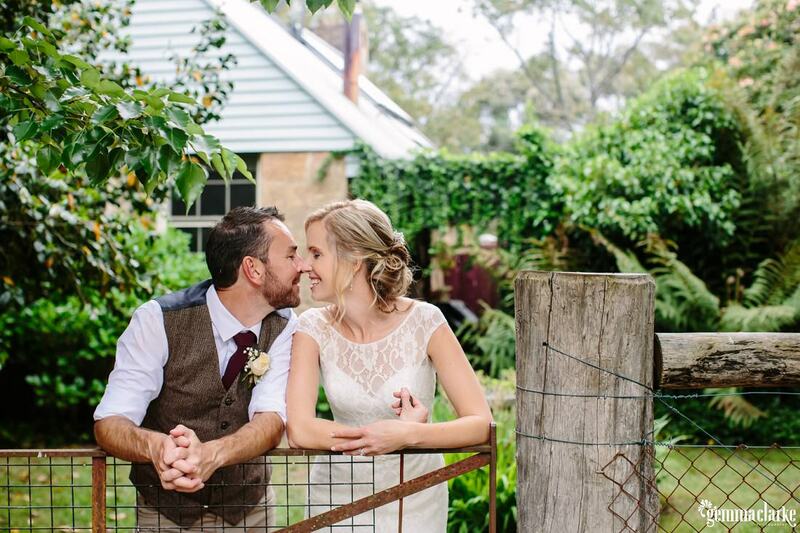 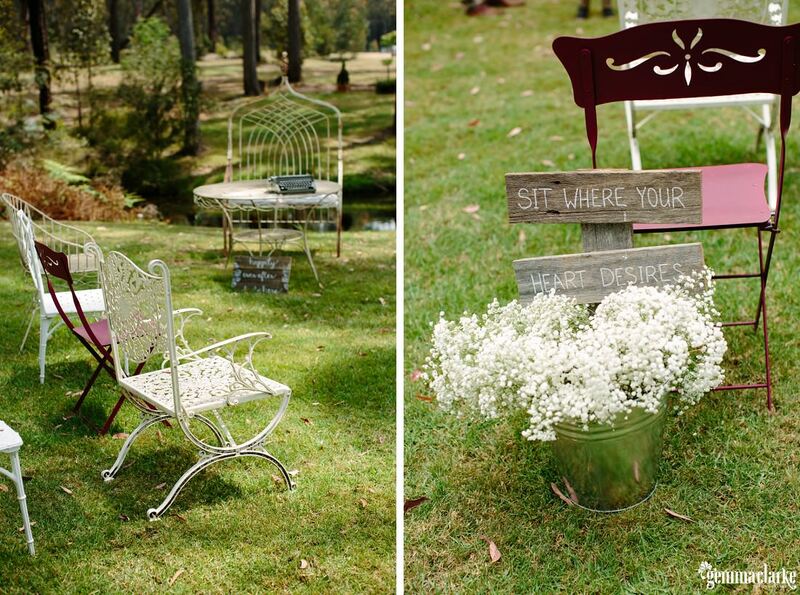 We were lucky in the Southern Highlands for this wedding. 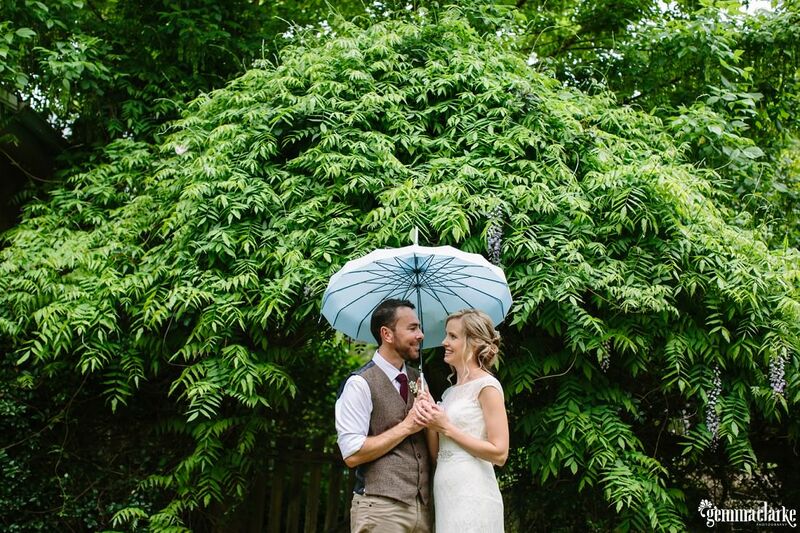 Very lucky as the dark clouds came over us we just got a few drops and the rest of the day and night was perfect for this outdoor Little Forest Cottages Wedding. 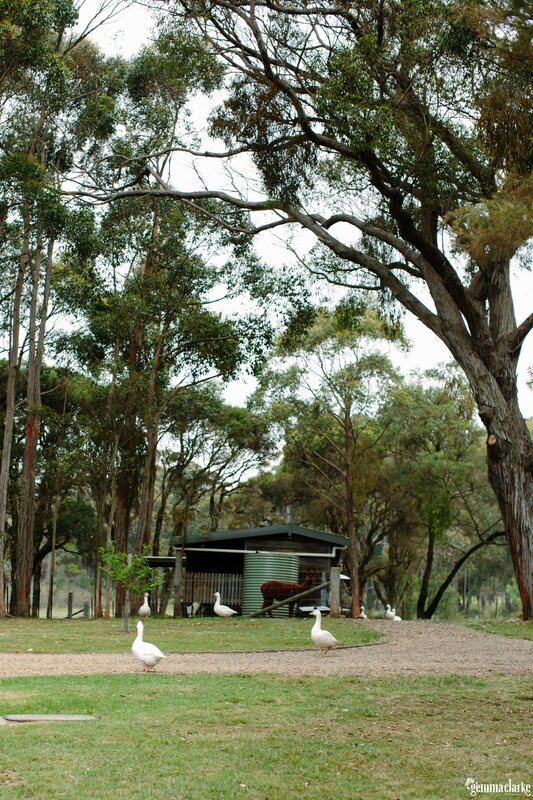 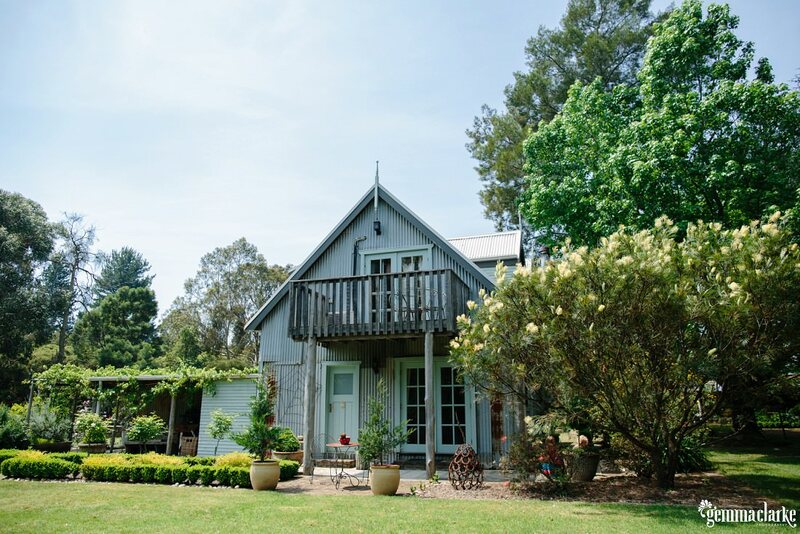 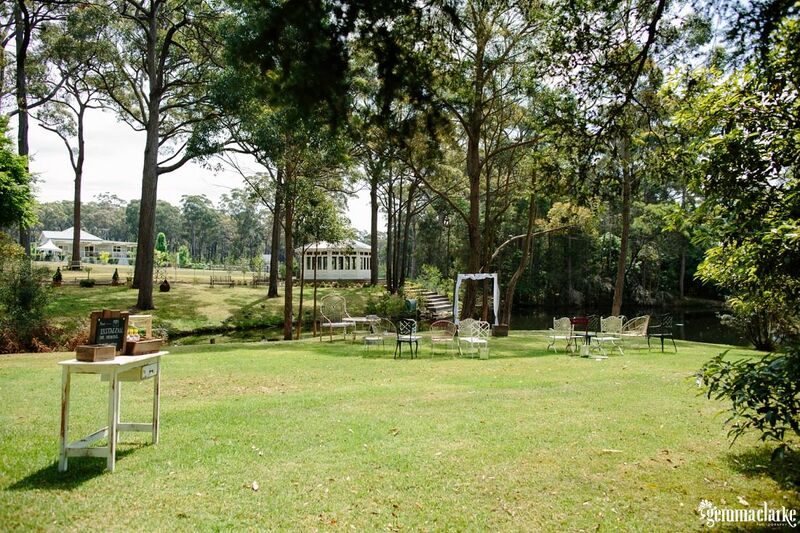 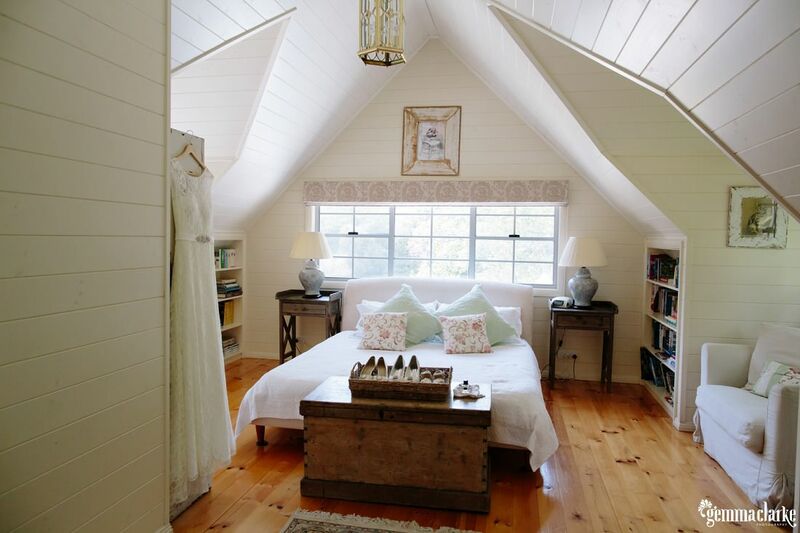 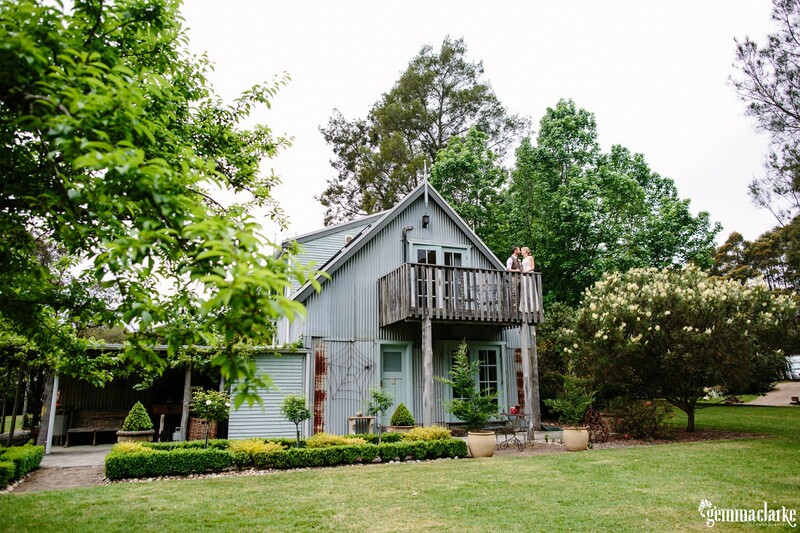 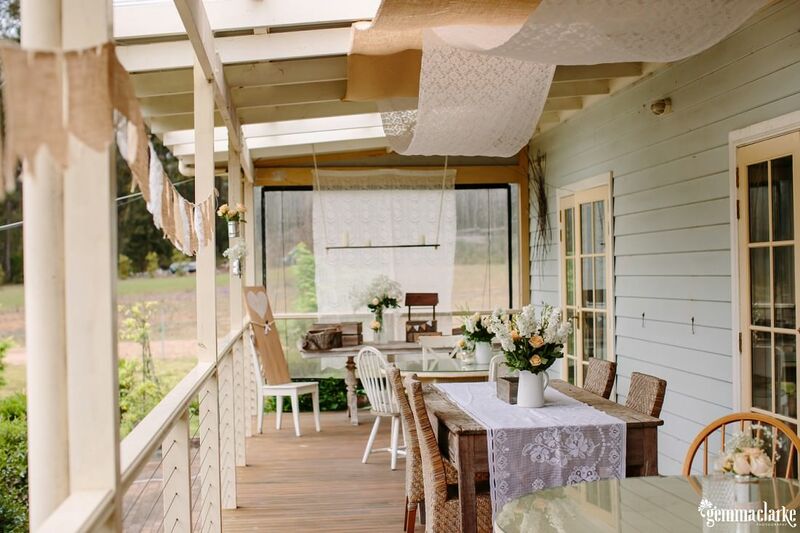 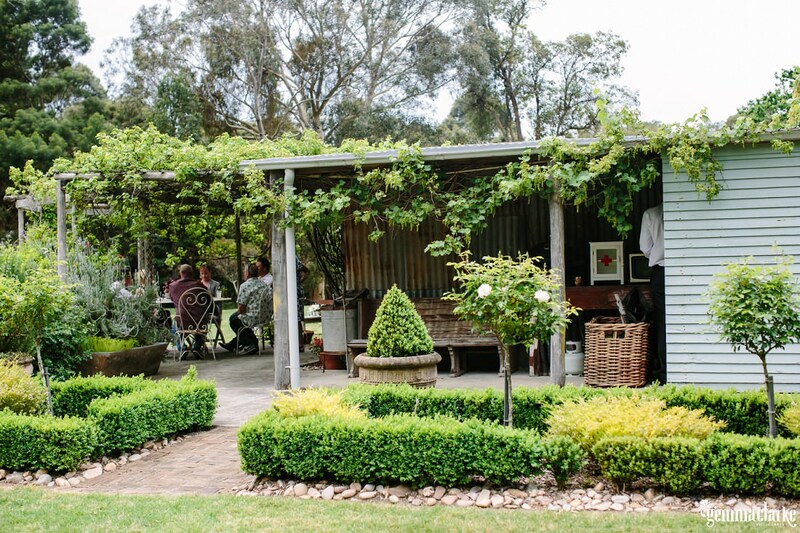 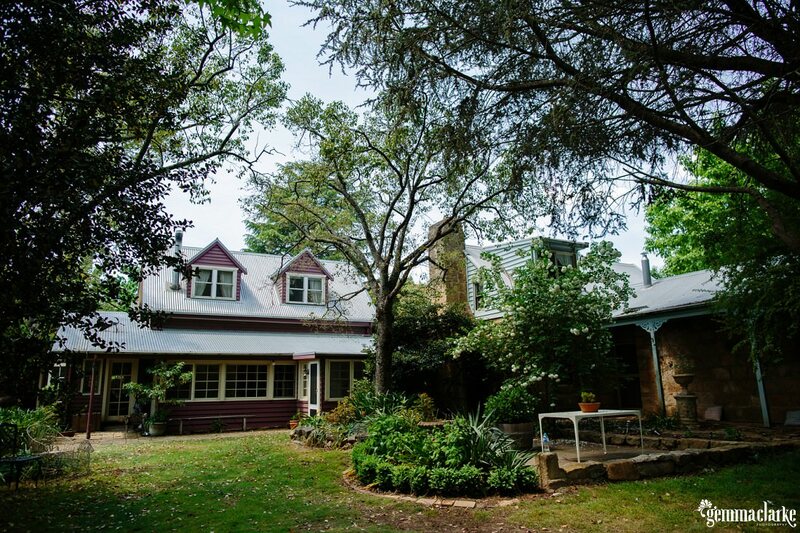 Little Forest Country Cottages is near Mittagong. 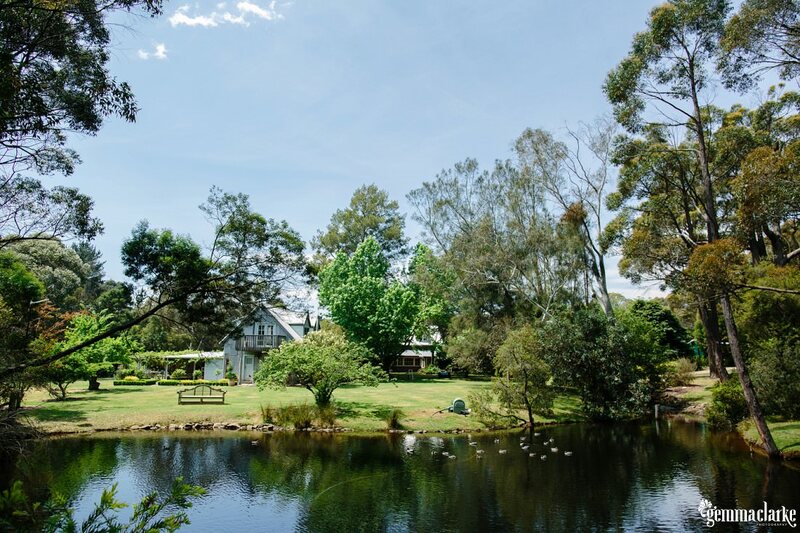 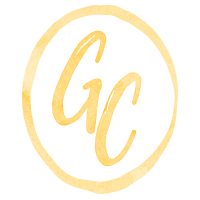 The cottages are packed with character and there is a beautiful little lake on the property and alpacas and geese that roam. 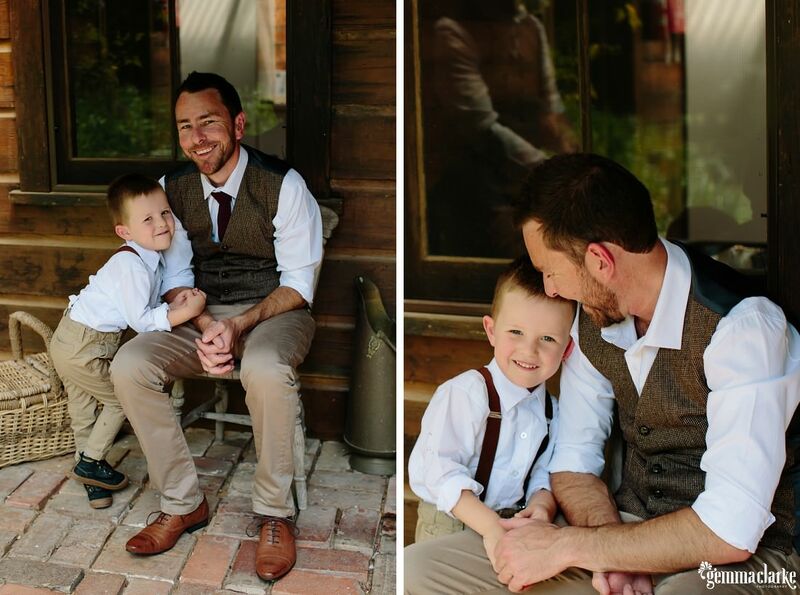 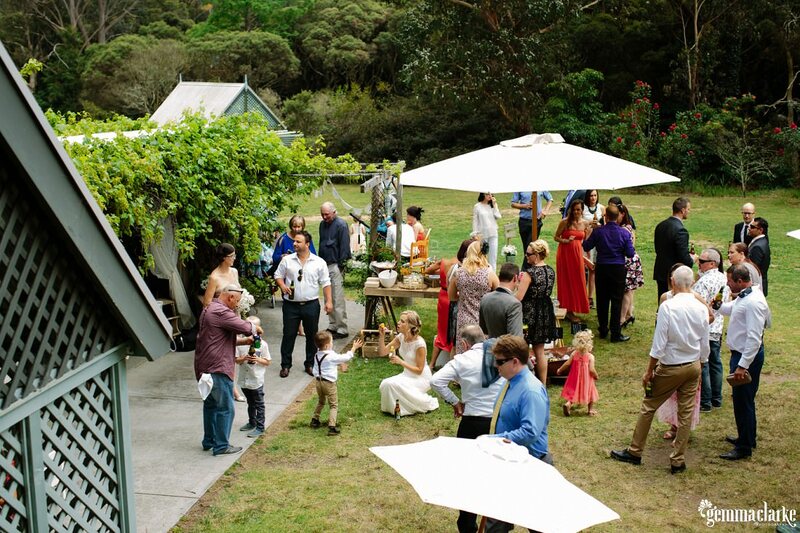 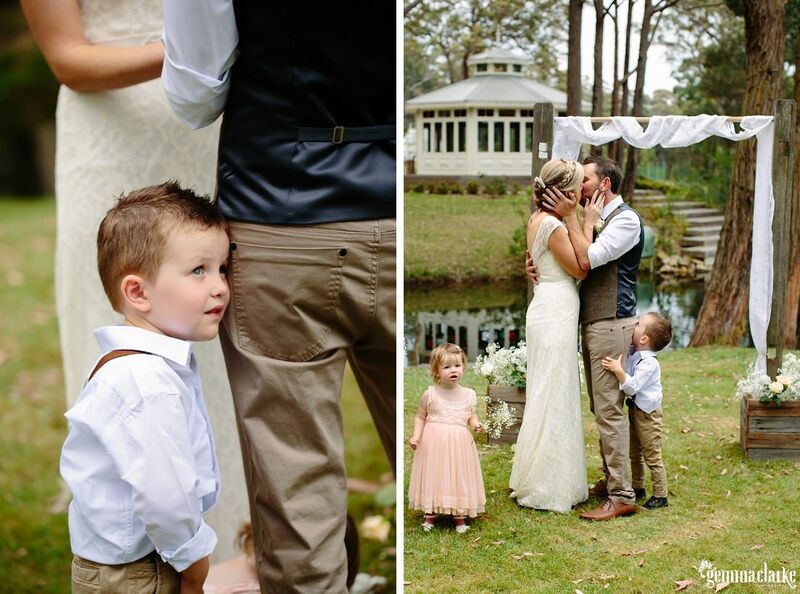 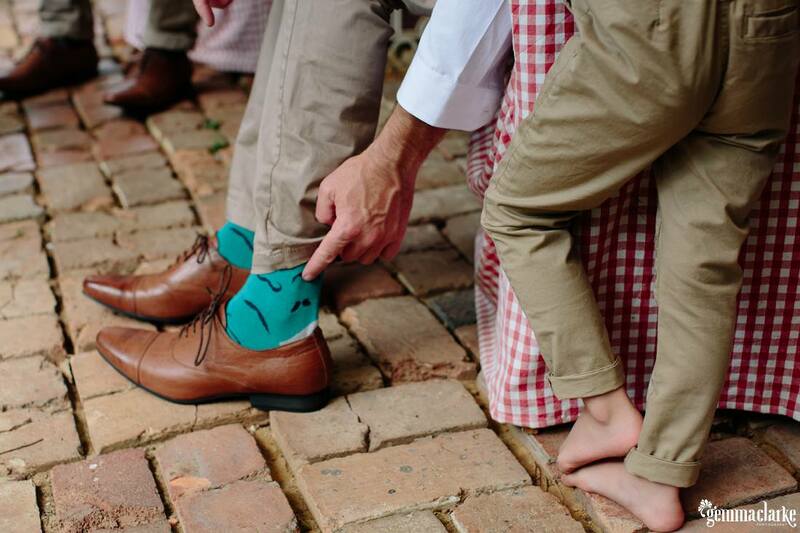 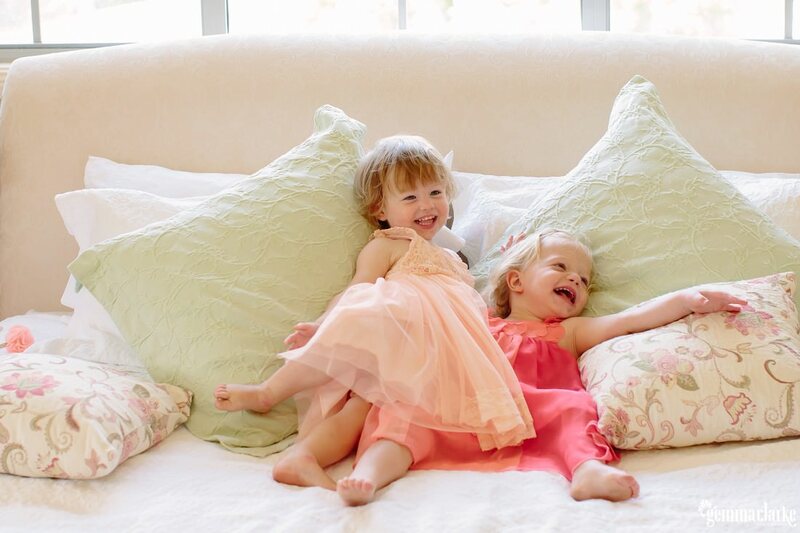 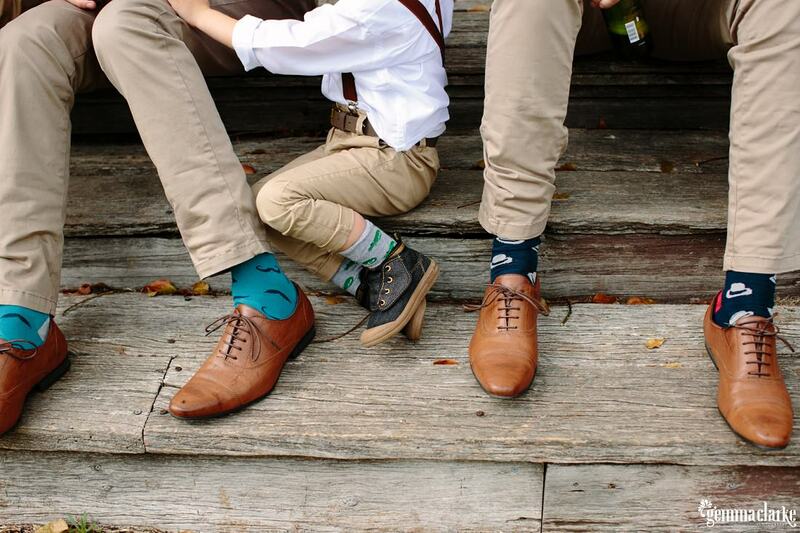 It was the ideal location for a casual family-oriented wedding with the kids having the run of the day :). 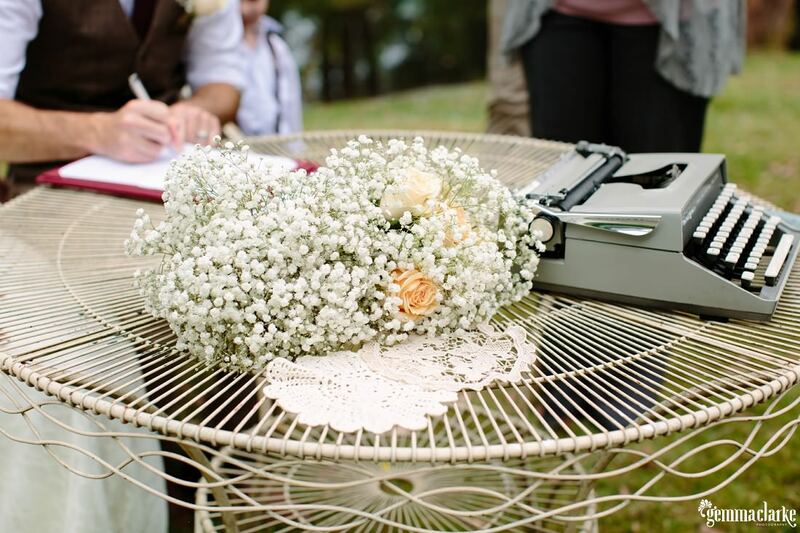 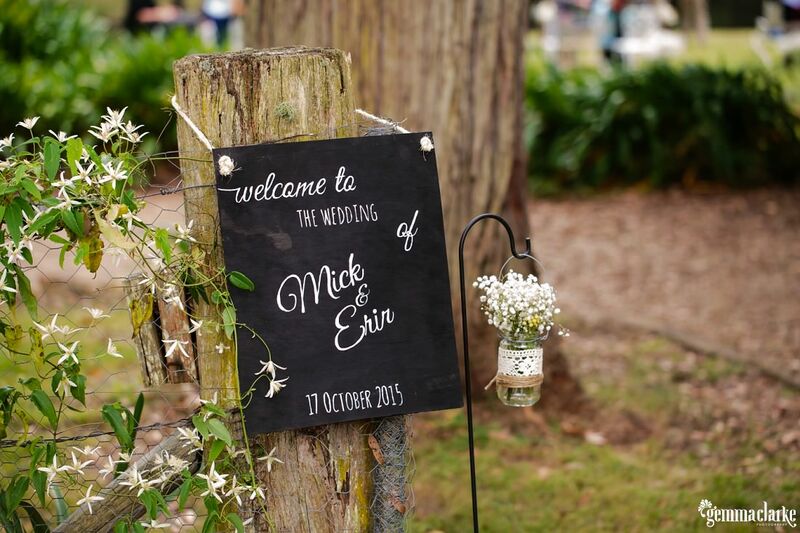 The wedding was beautifully decorated with all the props and furniture from Erin’s business Queen Street Vintage Prop Hire. 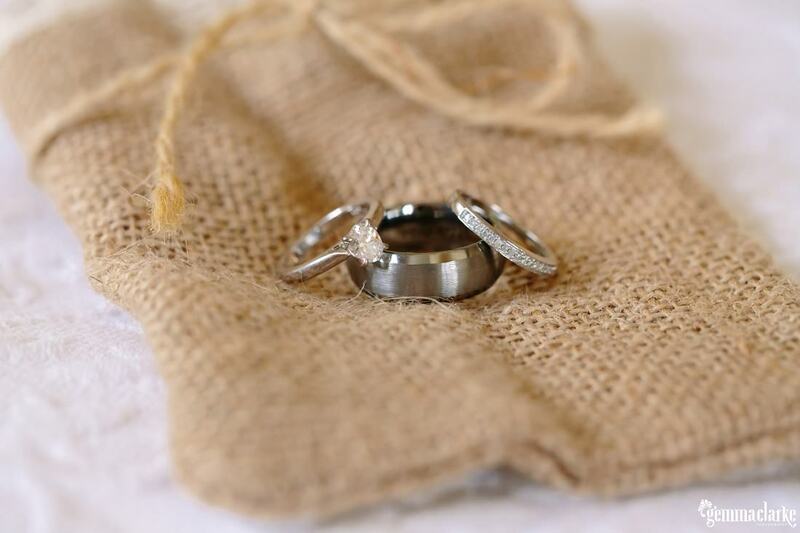 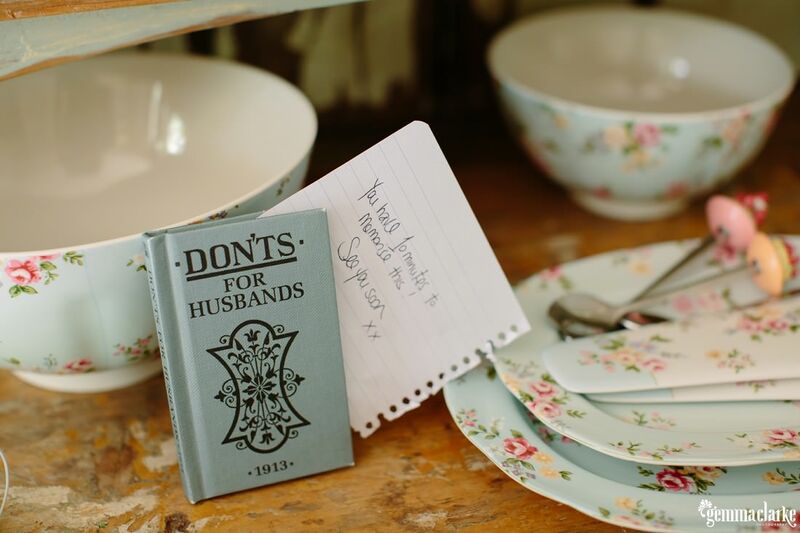 They are absolutely gorgeous and if my husband and I got married again, I would certainly be using these!! 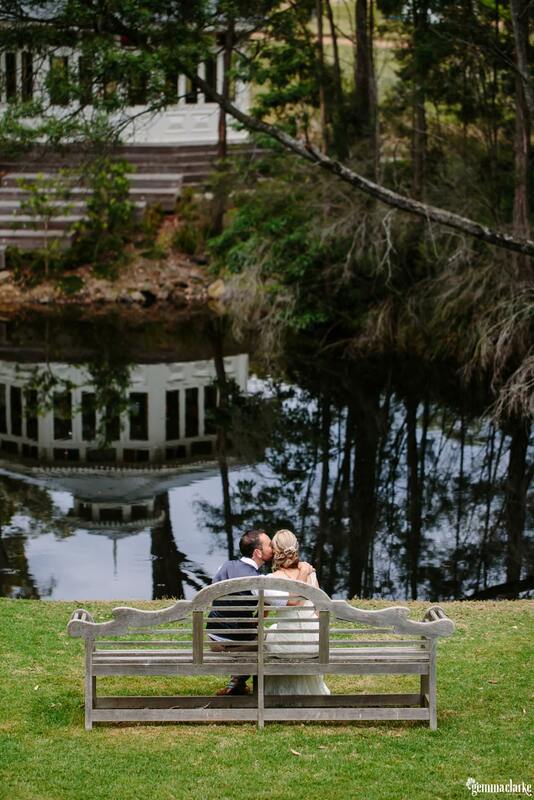 Please enjoy looking through all these fun and romantic moments from the day. 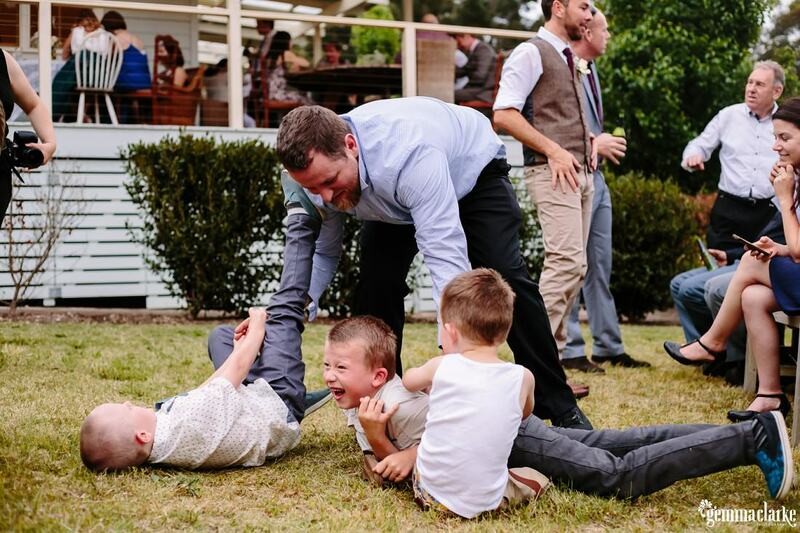 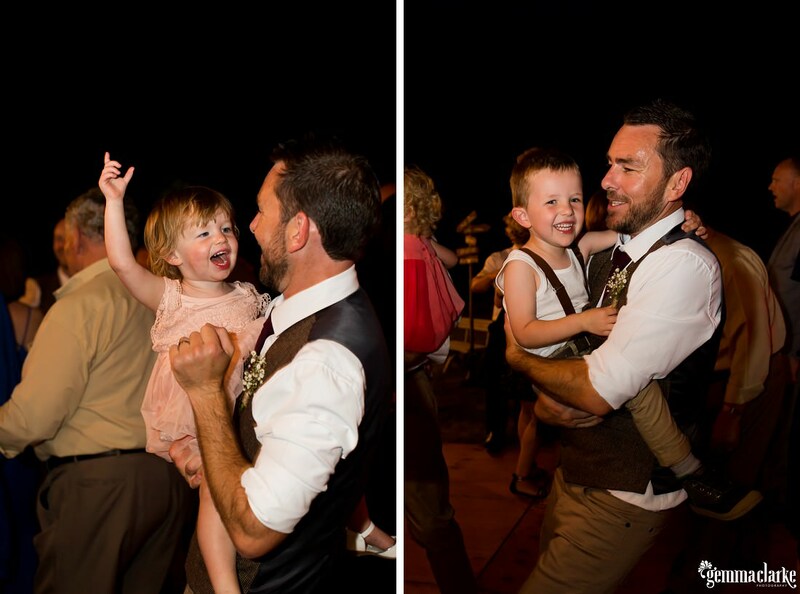 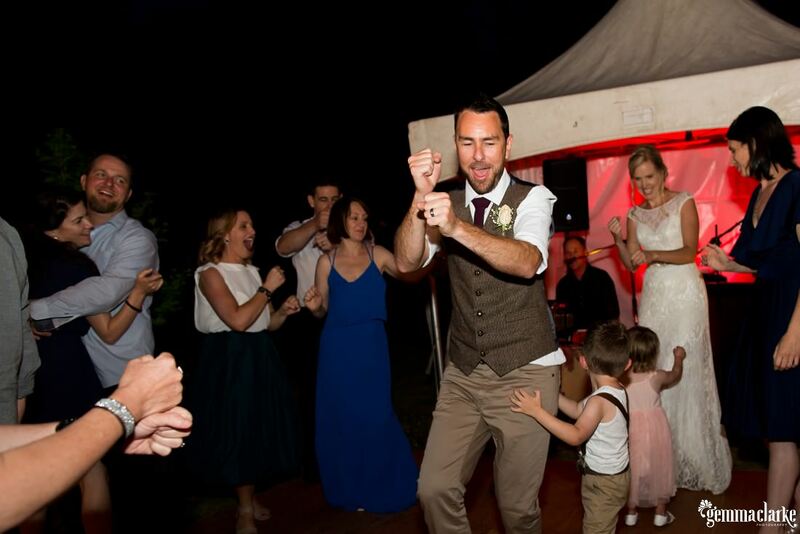 Music from The Wiggles set the dancefloor on fire after the first dance for this wonderful family wedding! 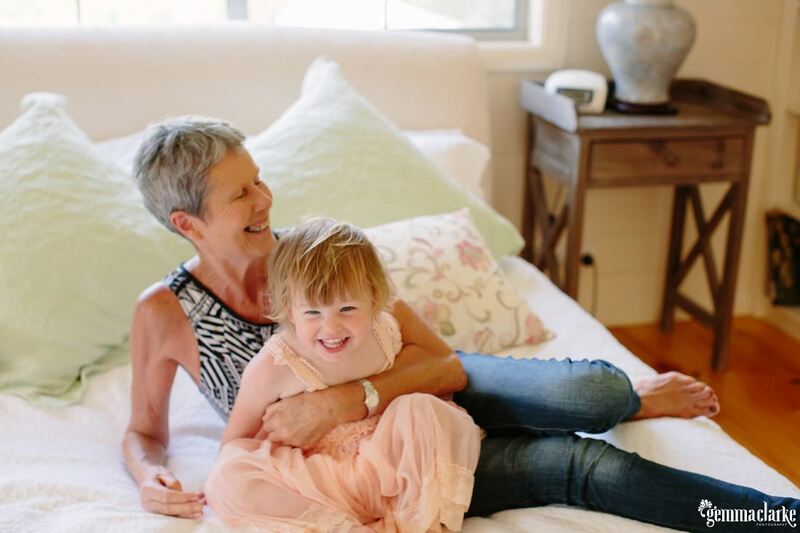 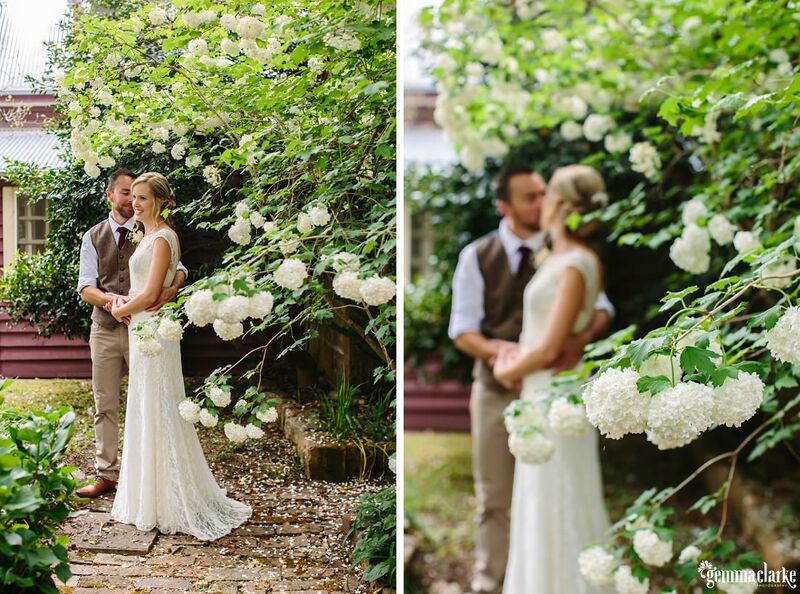 Be sure to check out those photos at the end! 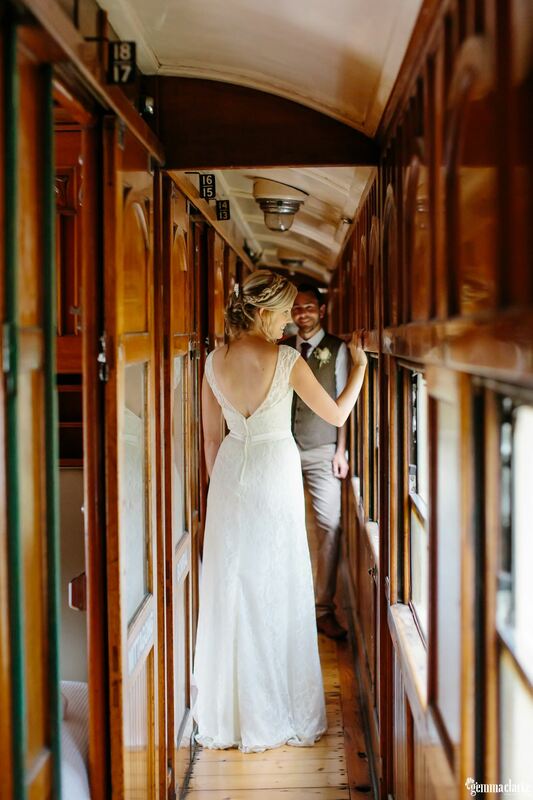 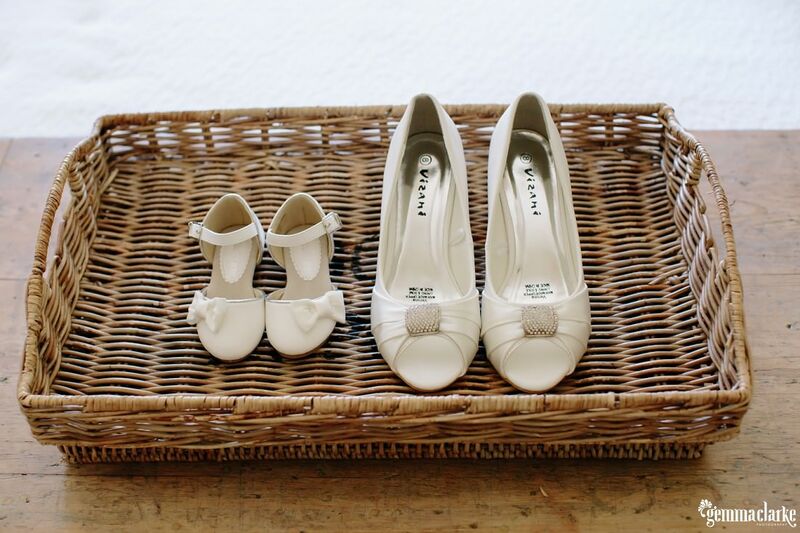 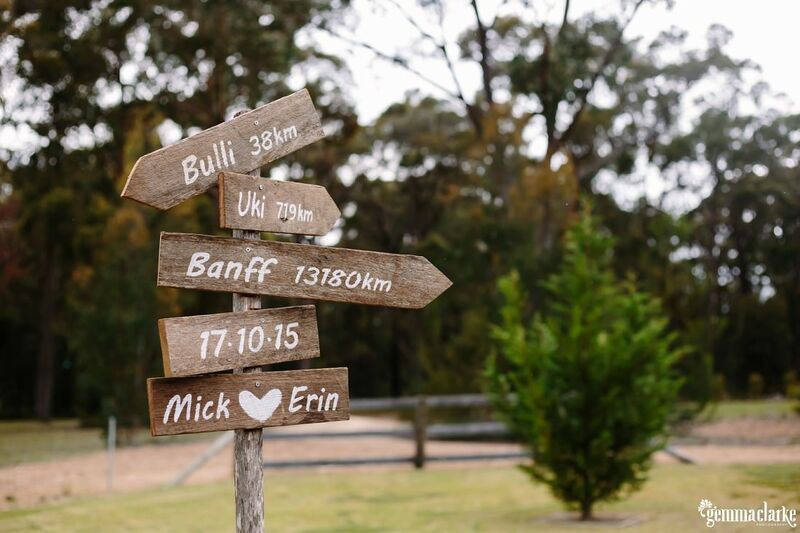 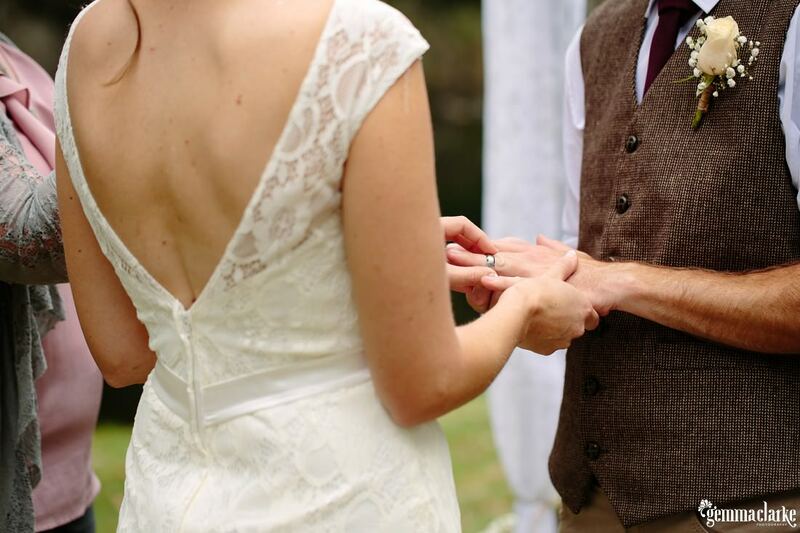 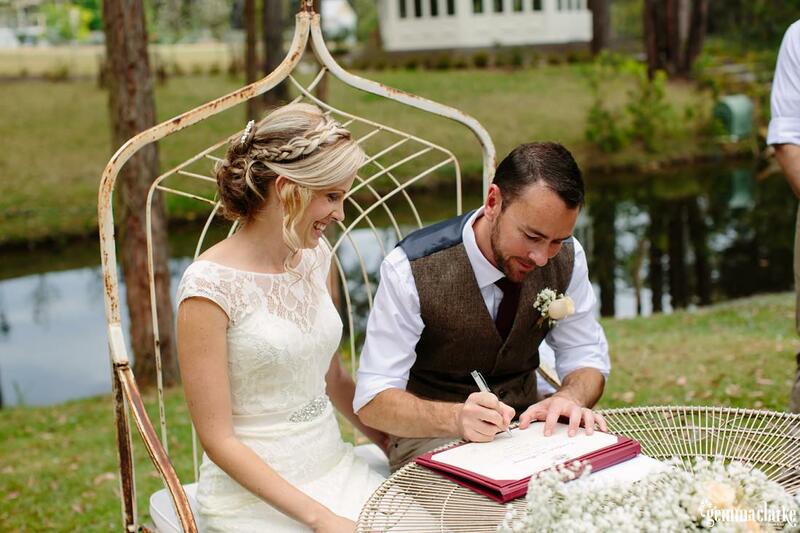 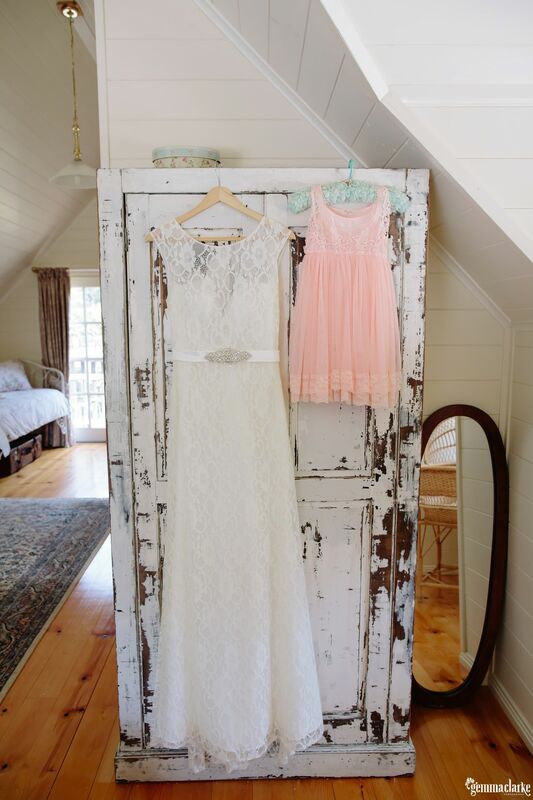 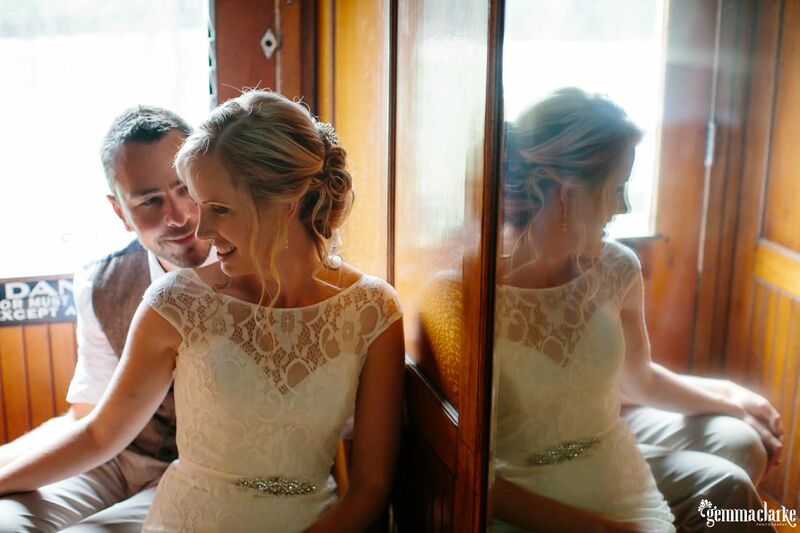 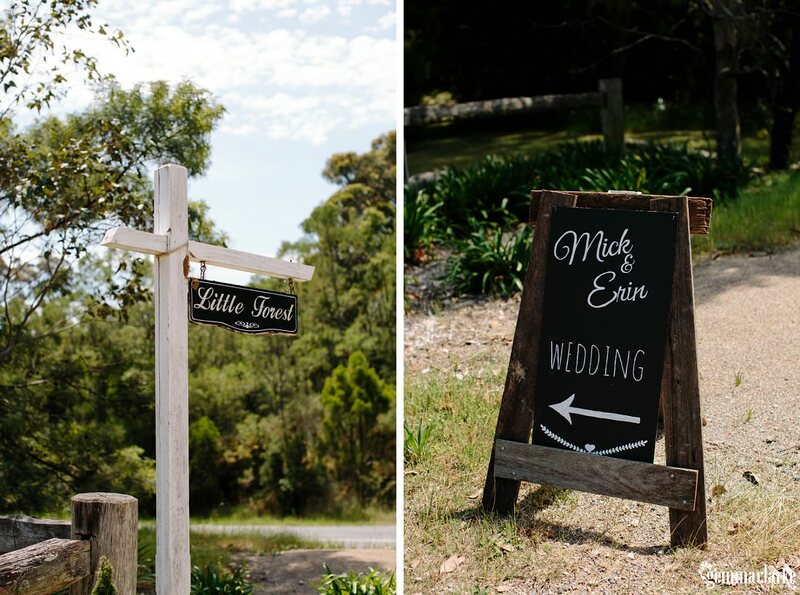 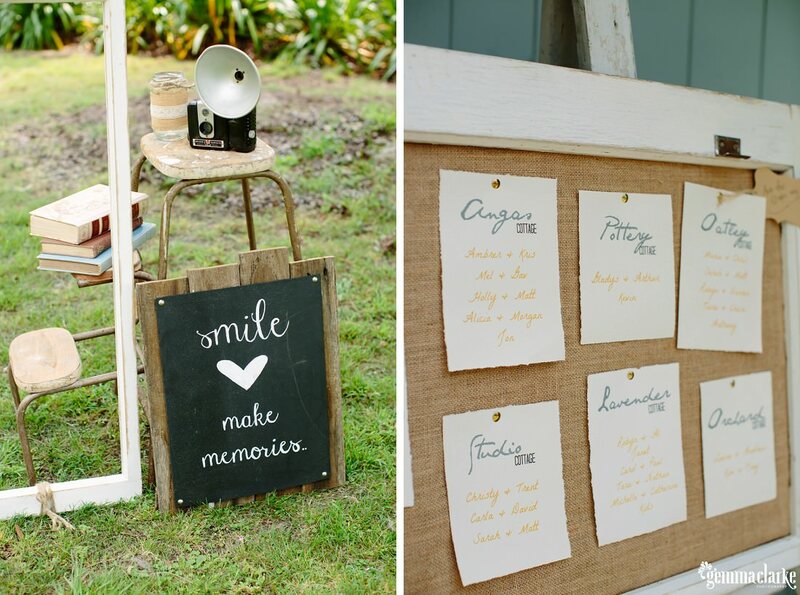 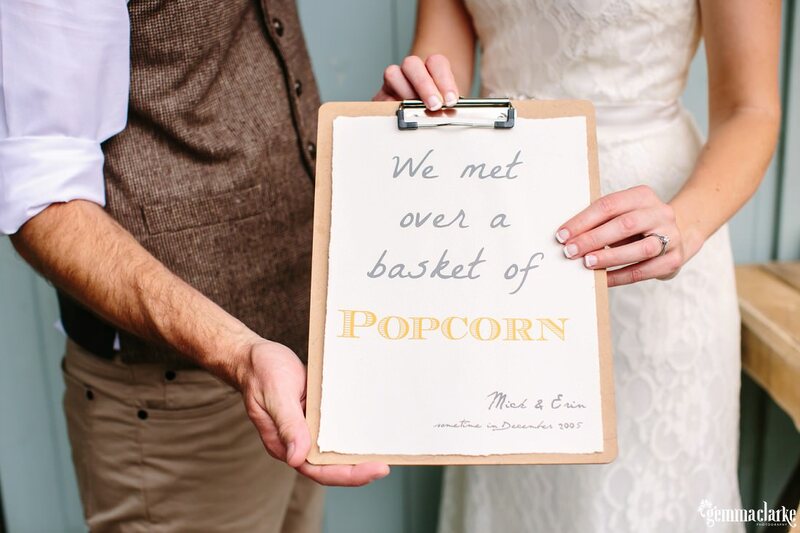 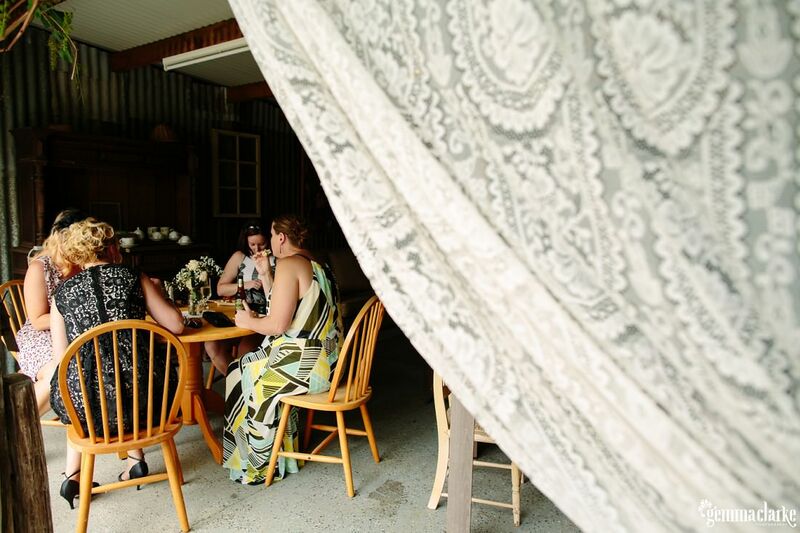 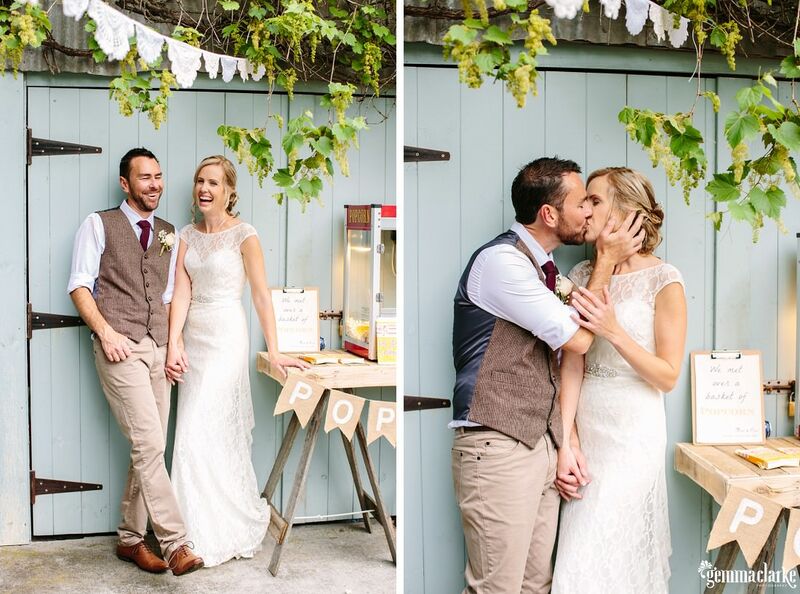 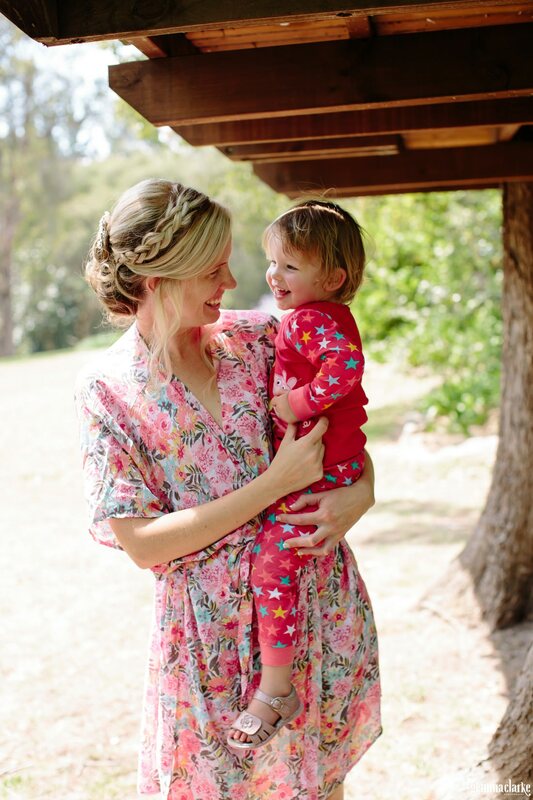 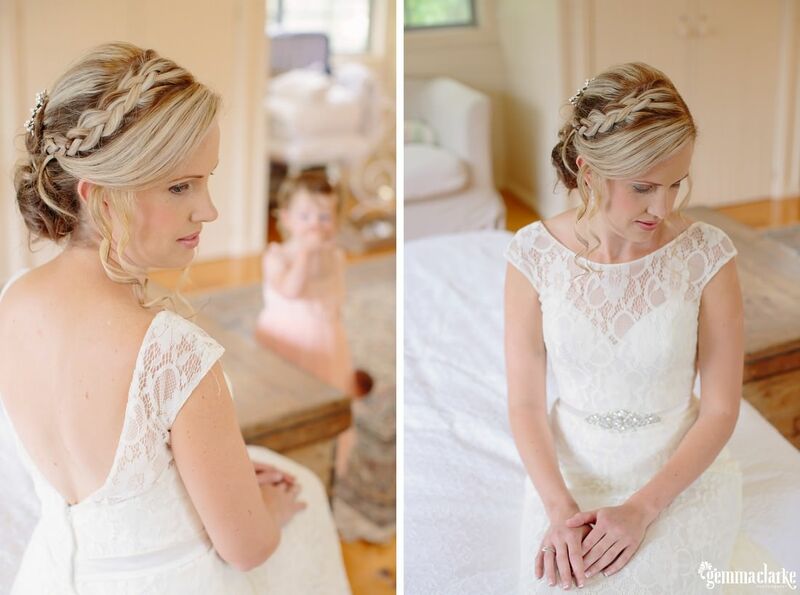 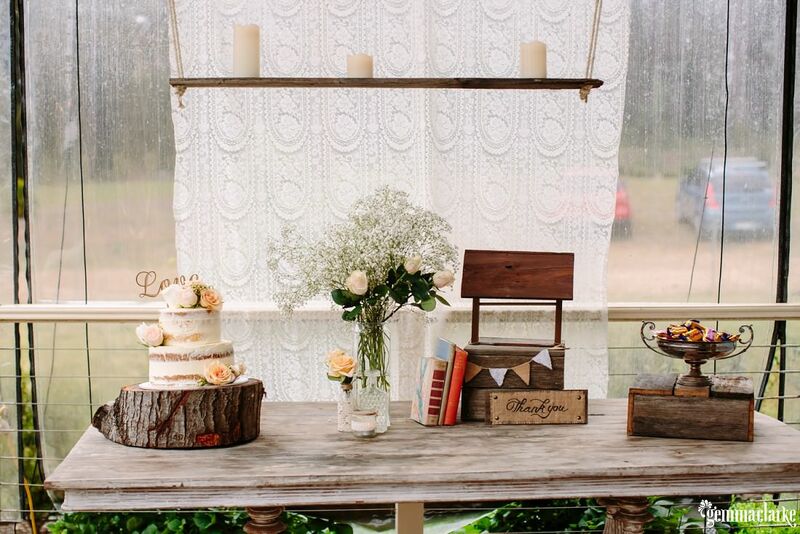 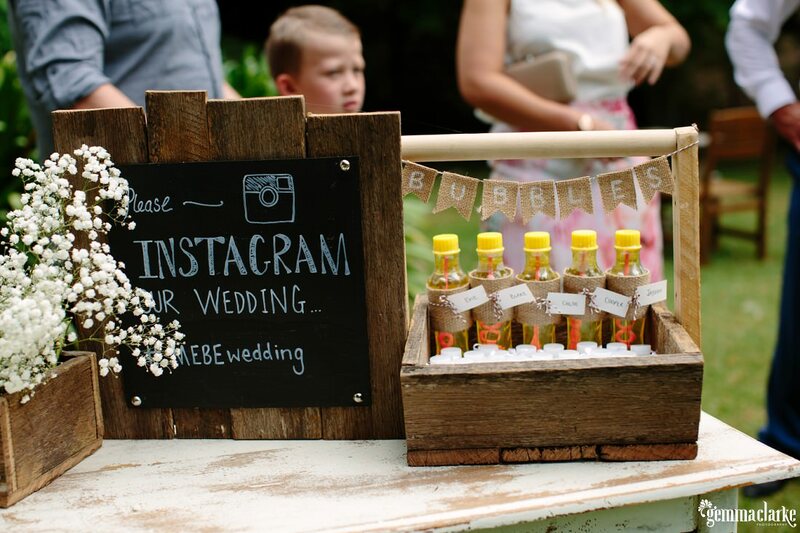 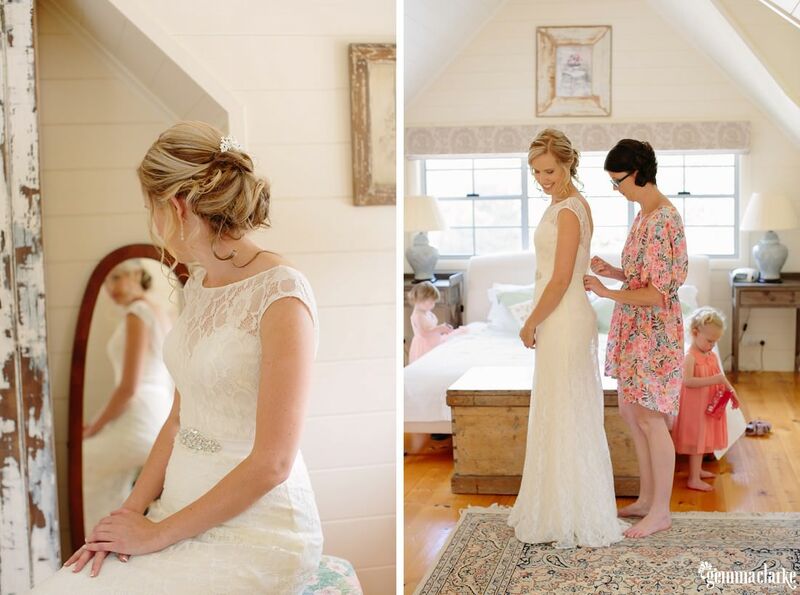 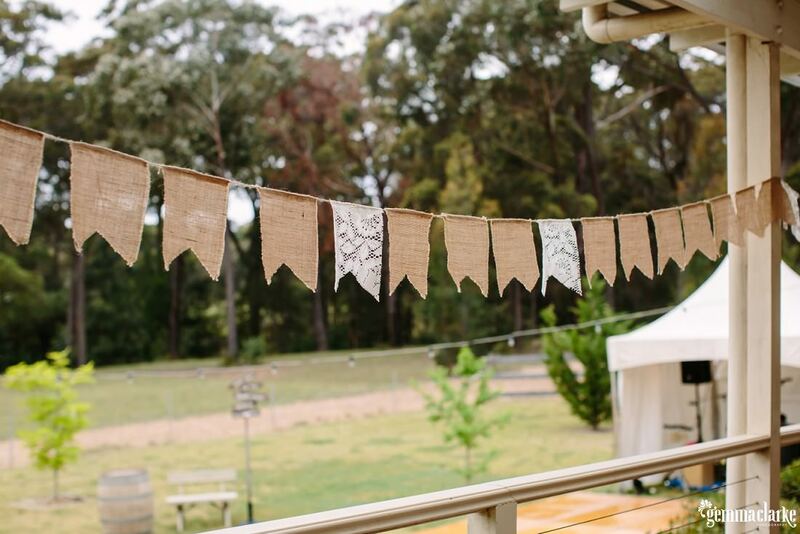 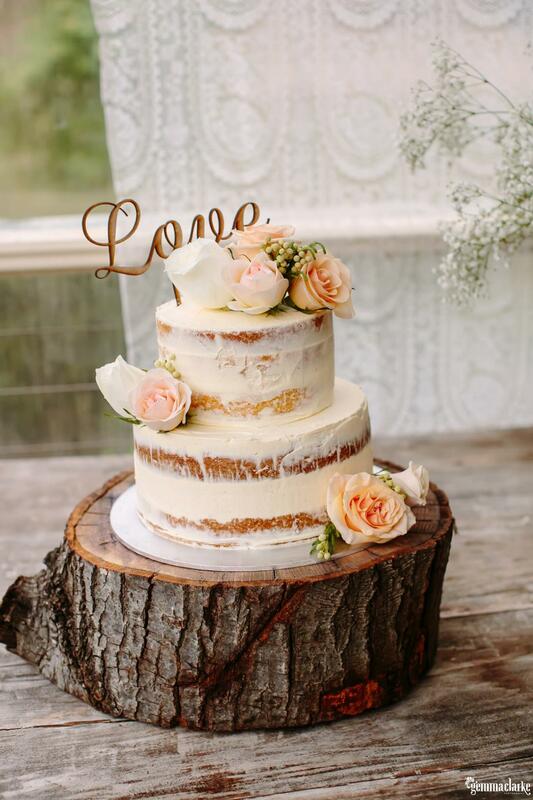 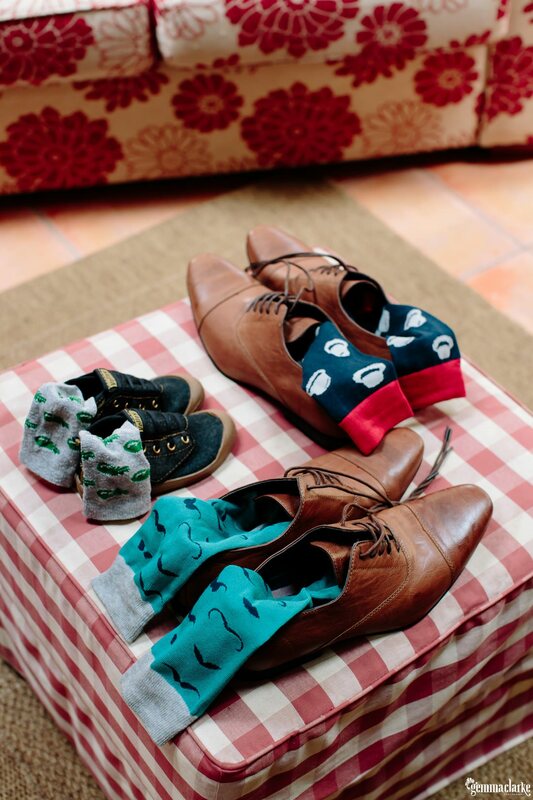 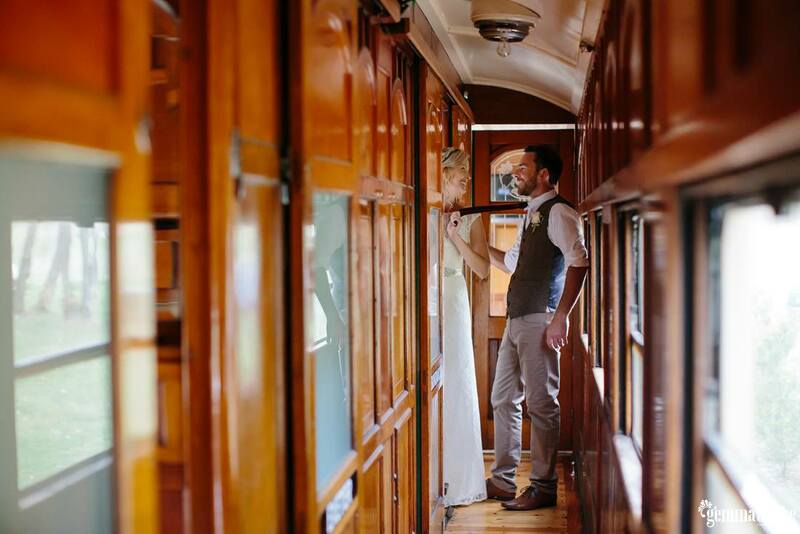 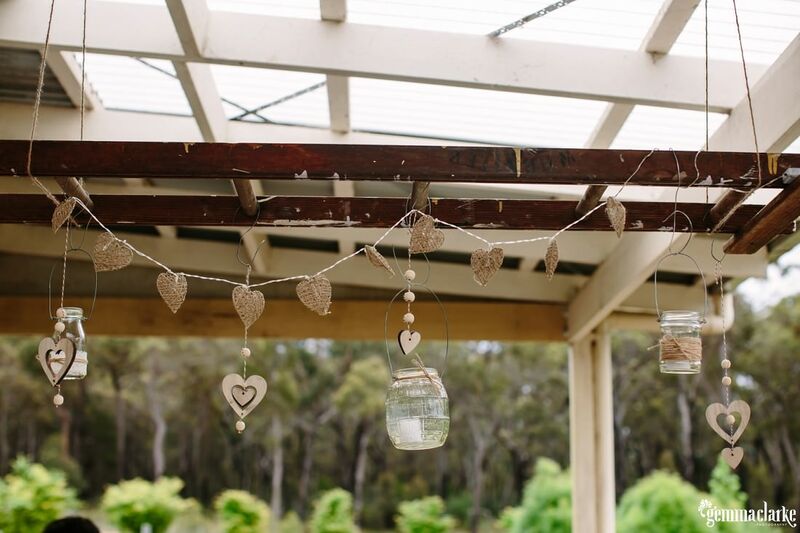 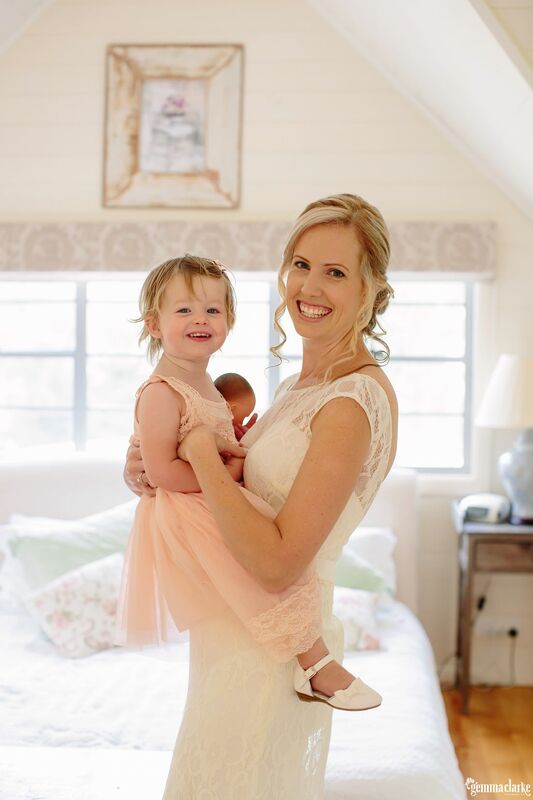 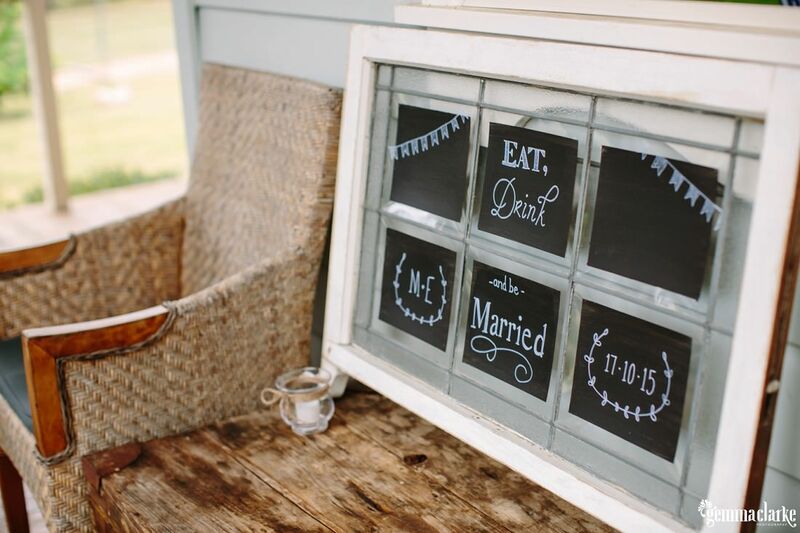 Little Forest Cottages Wedding – All the Details! 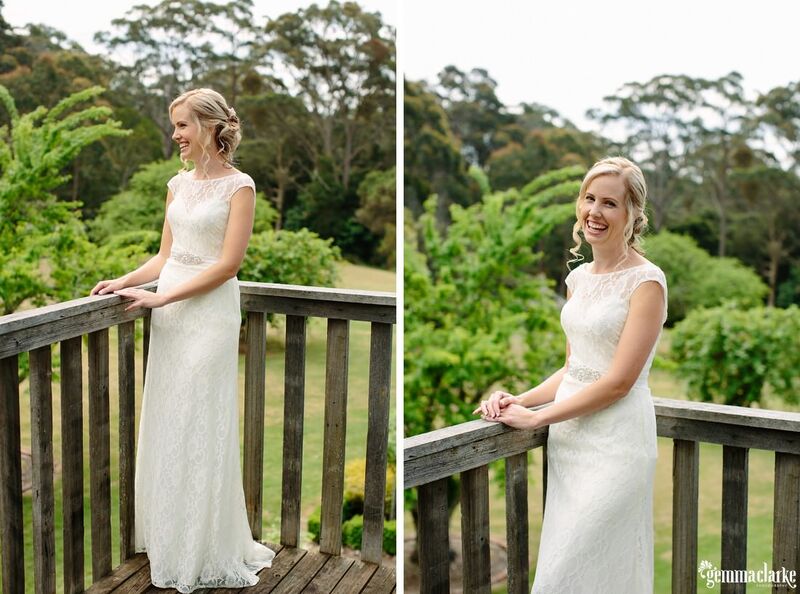 Bride’s Dress: Jean Fox – Allure Bridals / Hair Artist: Friend (retired) / Make-up Artist: Deahne Brumfield / Flowers: Sydney Flower Market (DIY) / Celebrant: Mel @ Mels Bels / Venue: Little Forest Cottages, Alpine / Music: Friend / Suits: Tarocash and vest from Cherry Clothing / Groom’s shoes: Topman / Bridesmaid’s Dress: Alfred Angelo / Stationery: Vistaprint / Cake: Love that Lolly Bar / Props and Styling by Queen Street Vintage Prop Hire.